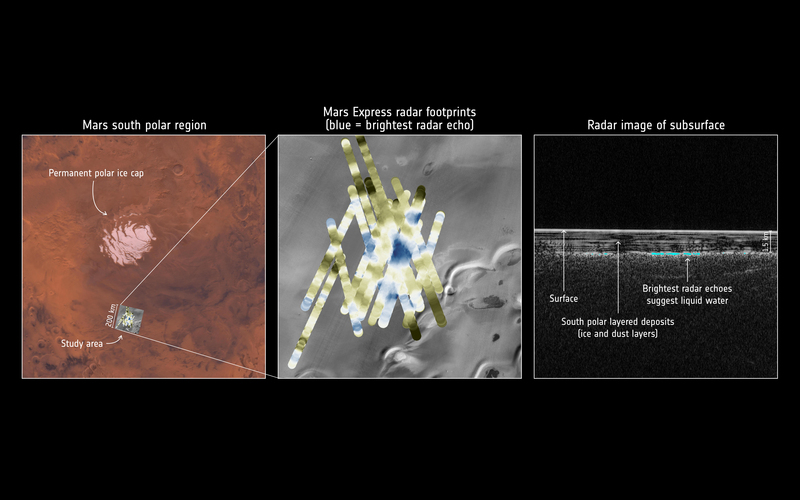 On 25 July 2018 the ESA announced that it’s Mars Express Orbiter discovered a huge liquid water lake under the Martian surface near the South Pole using its on board radar. 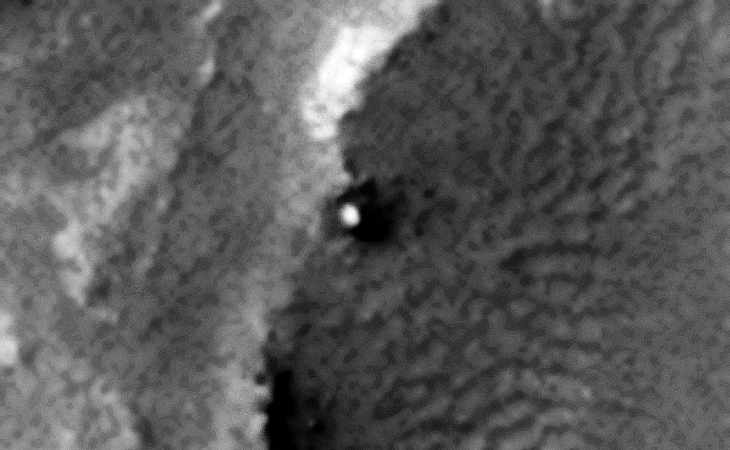 About 1000 km to the west, in an MOC photograph (M0901354) taken by NASA in 1999, we can see what appears to be a lake surrounded by vegetation as well as what looks like a long, straight, artificial shore-line to the West with equally spaced and sized anomalies in a straight line. 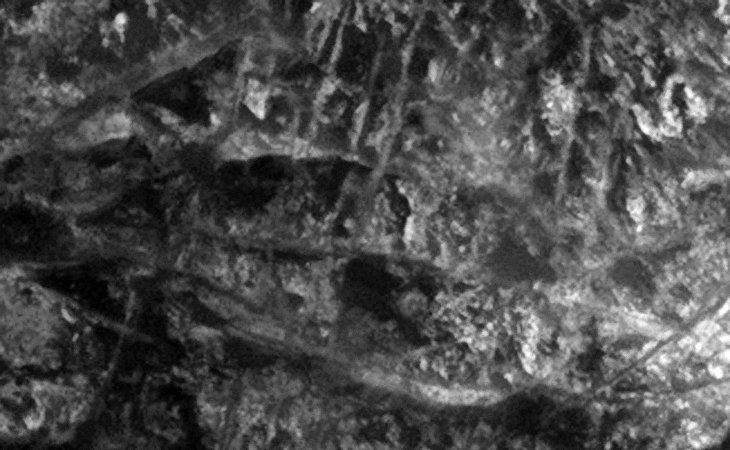 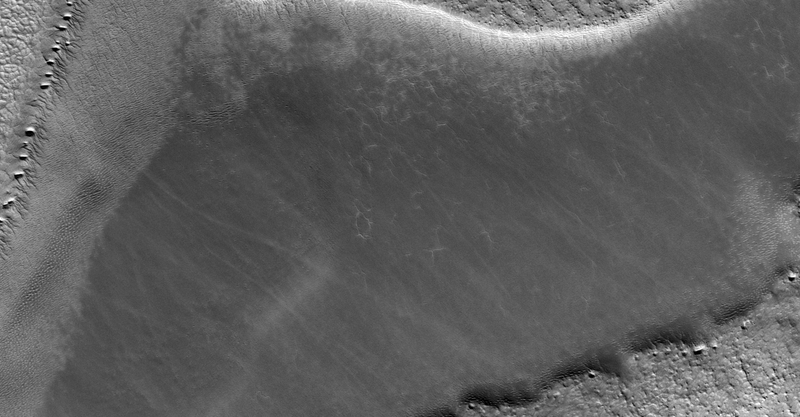 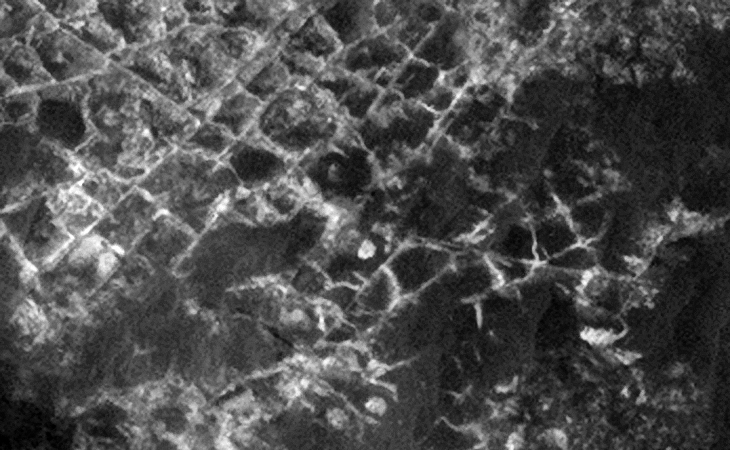 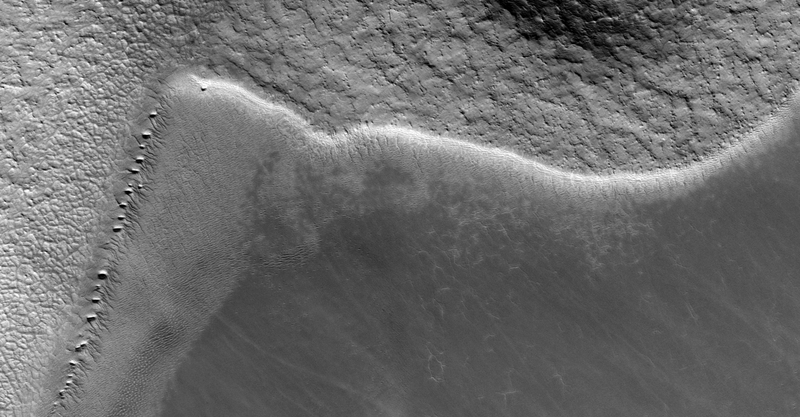 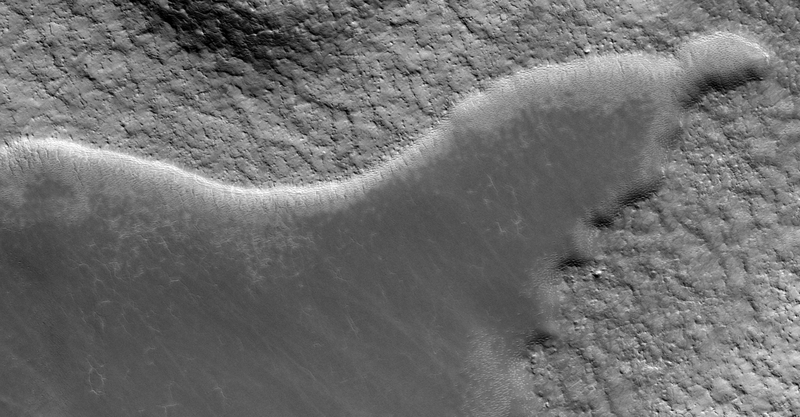 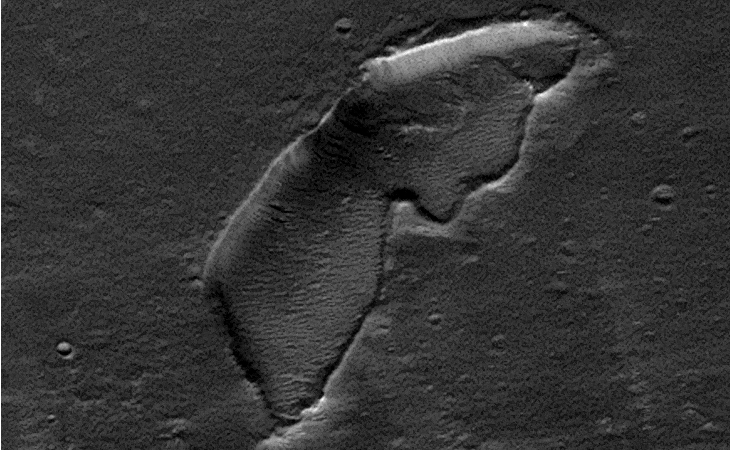 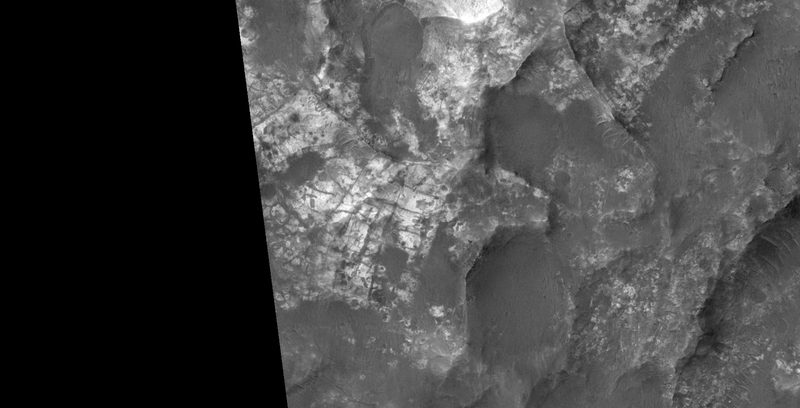 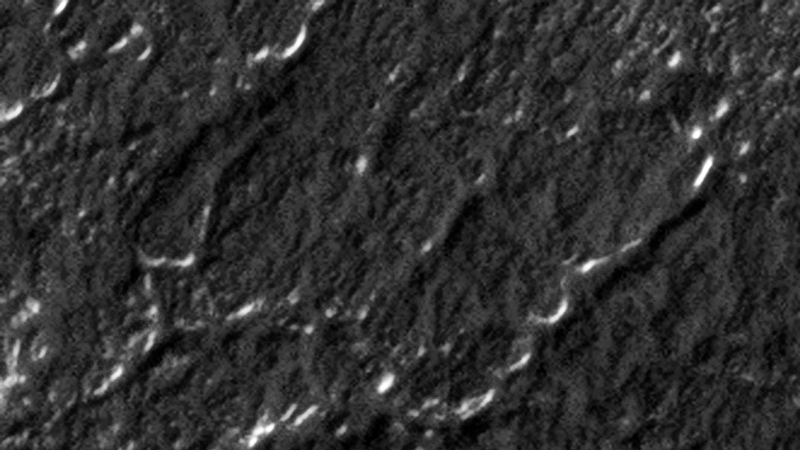 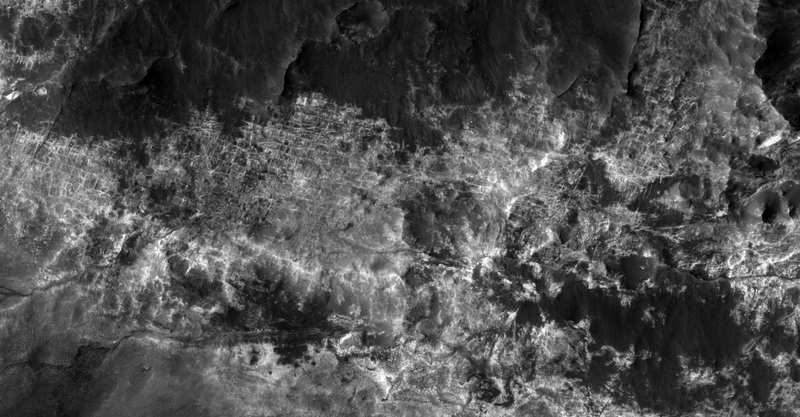 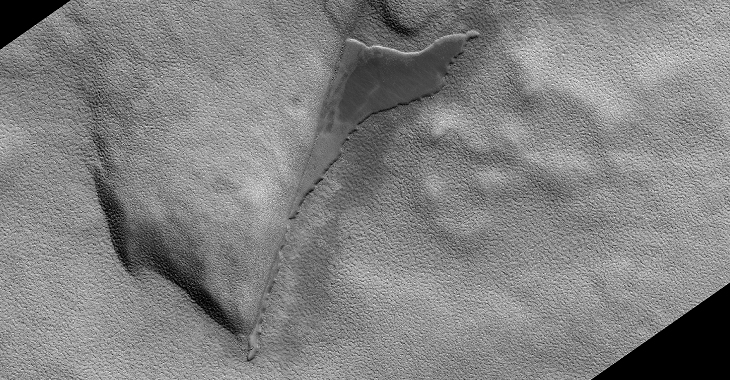 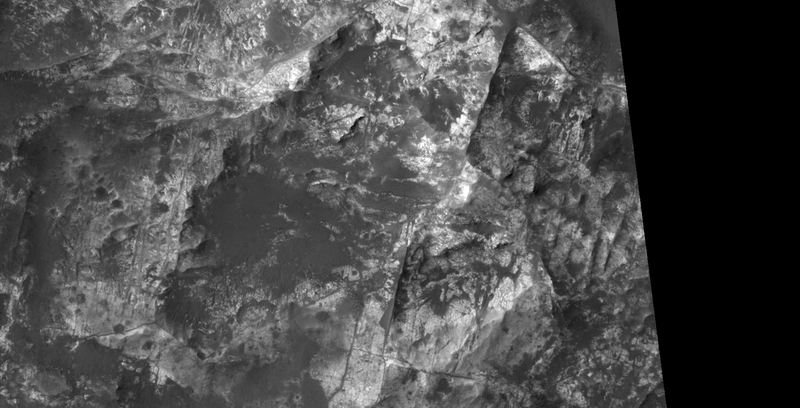 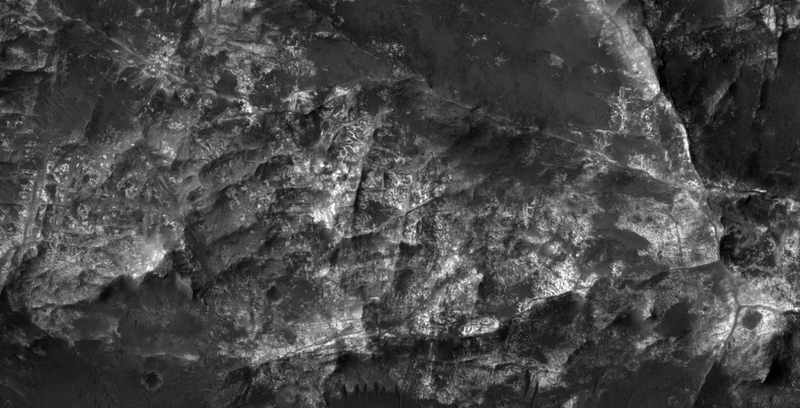 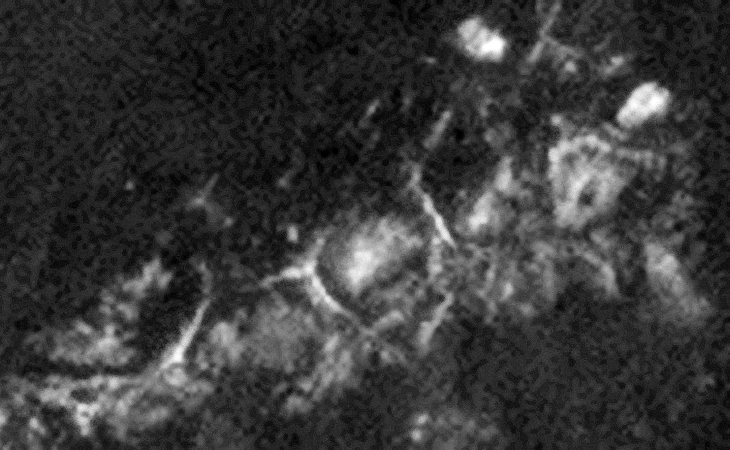 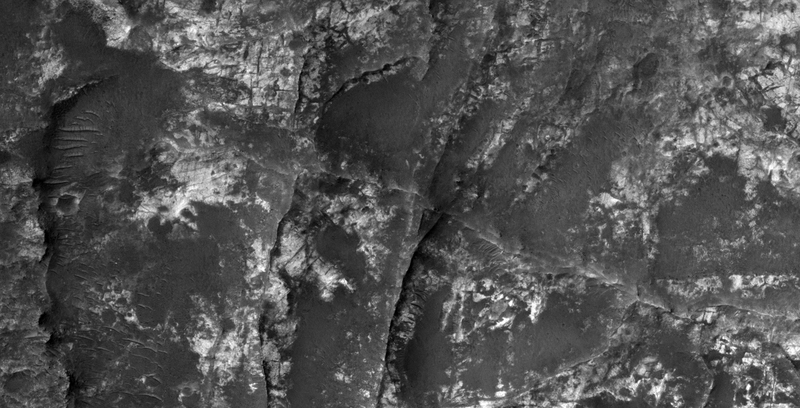 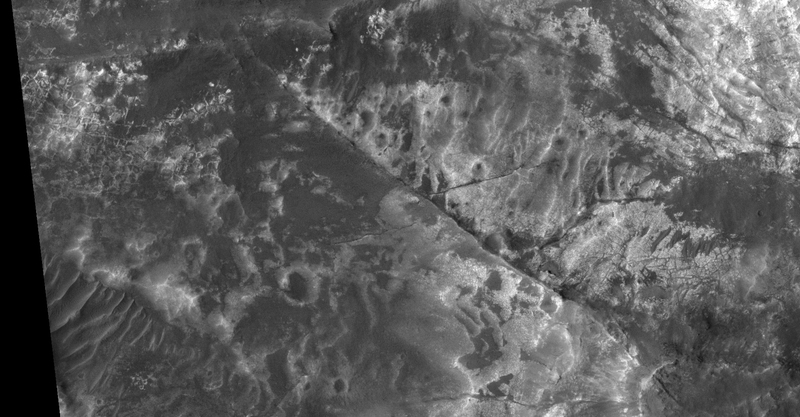 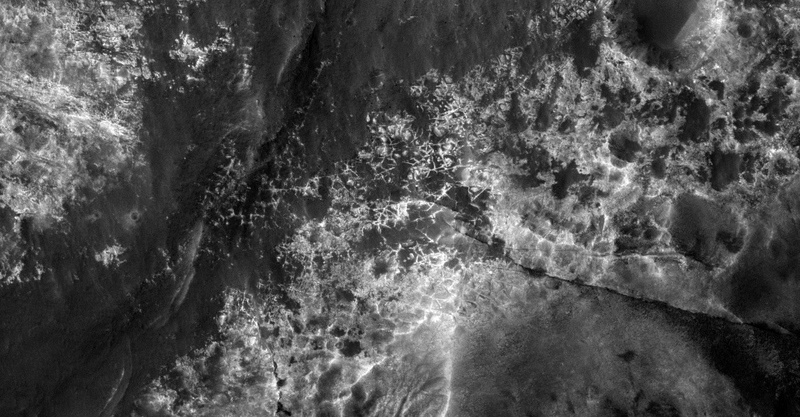 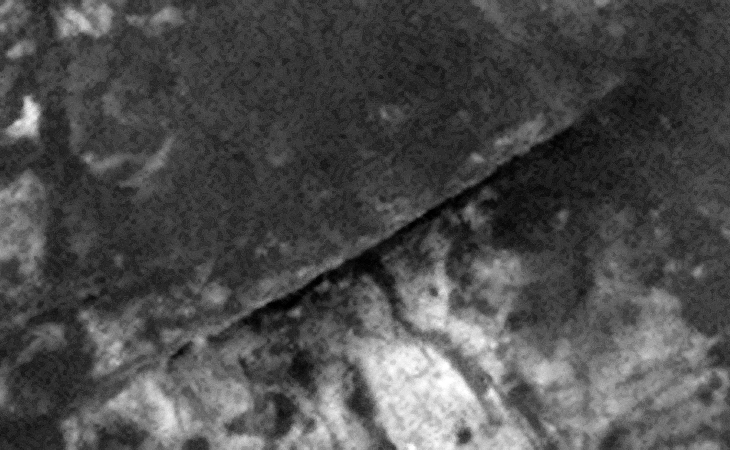 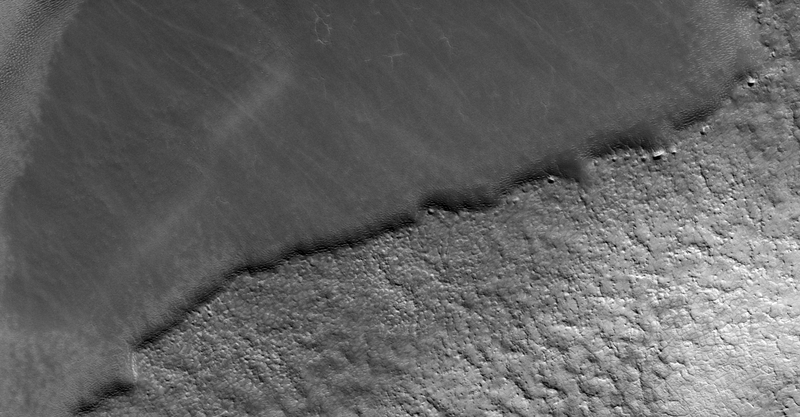 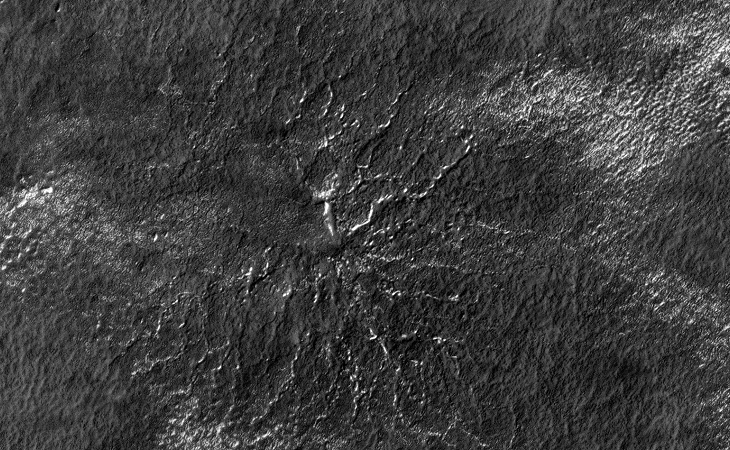 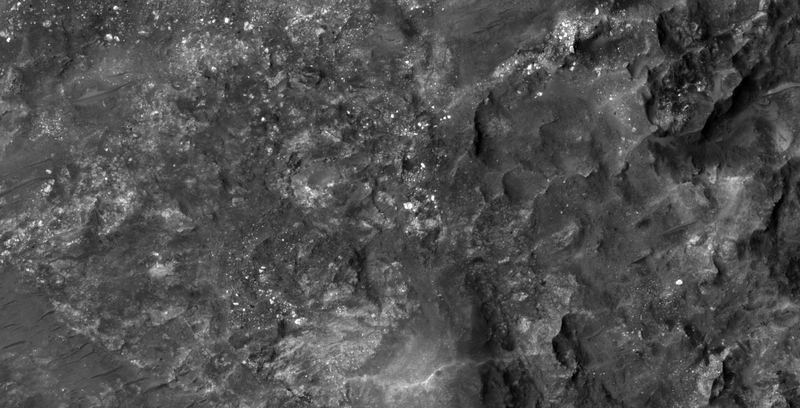 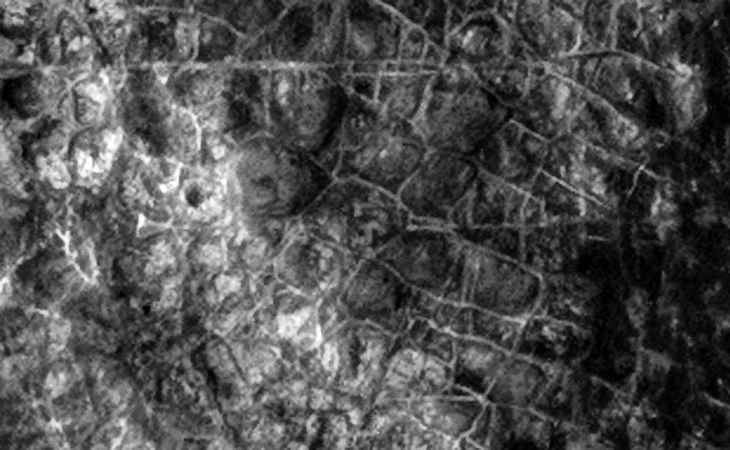 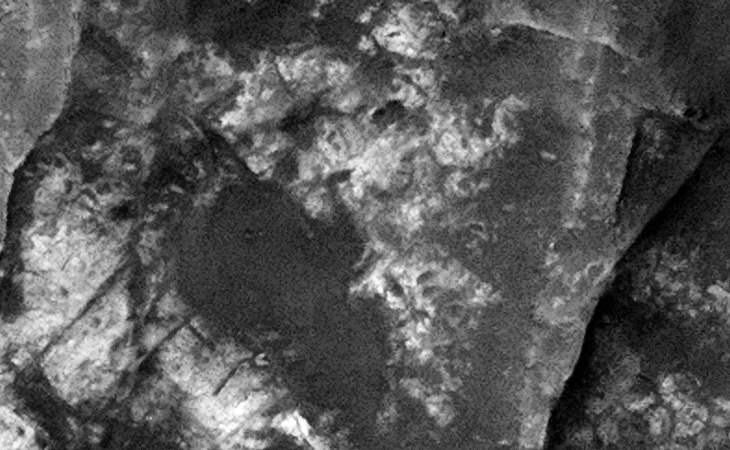 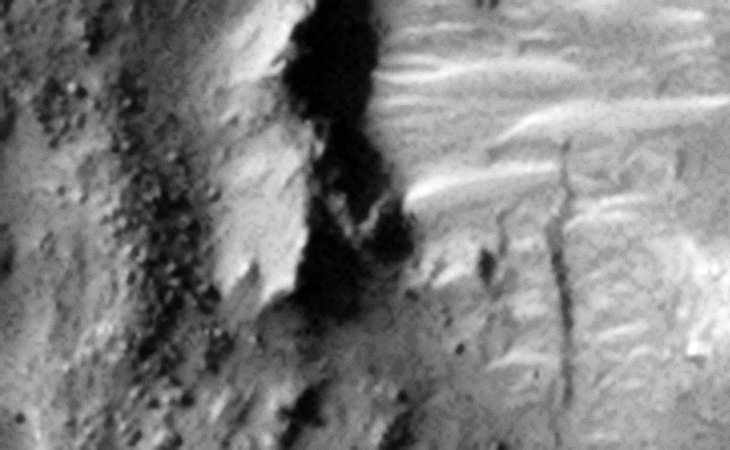 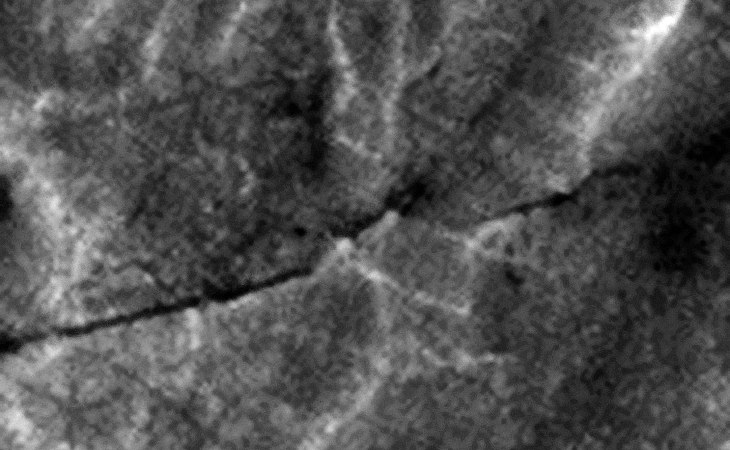 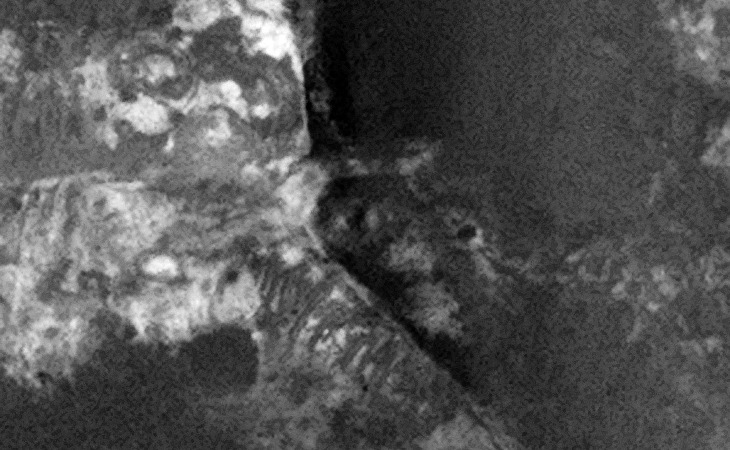 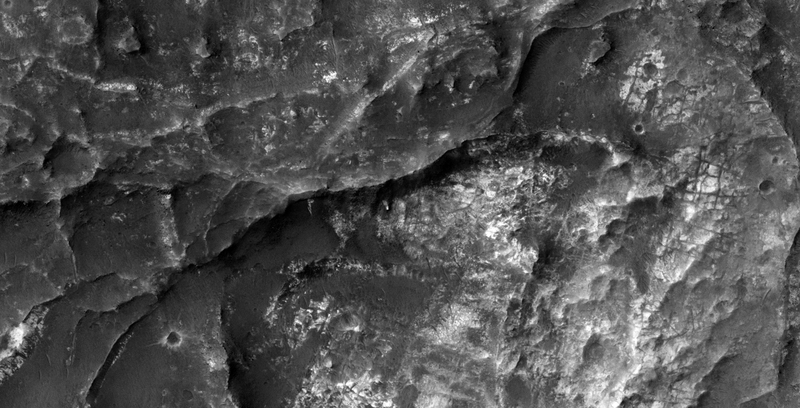 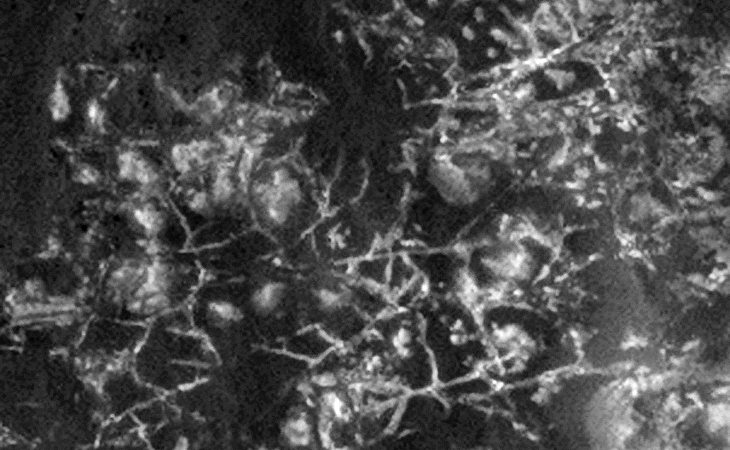 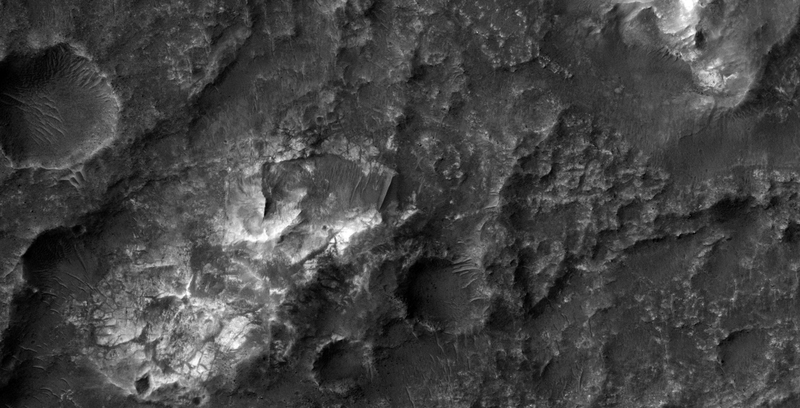 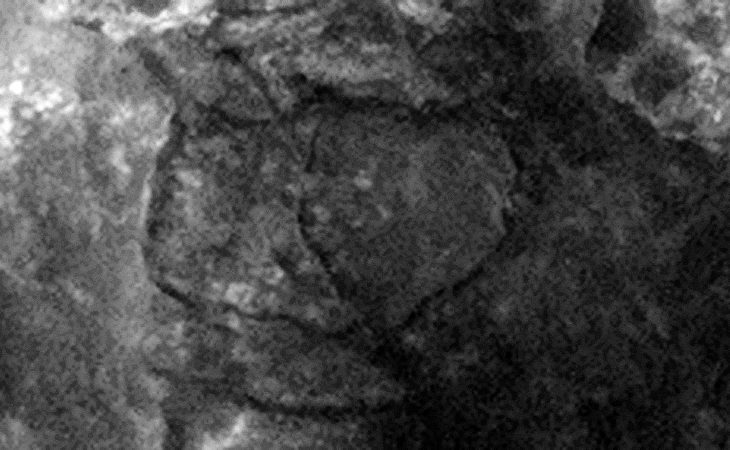 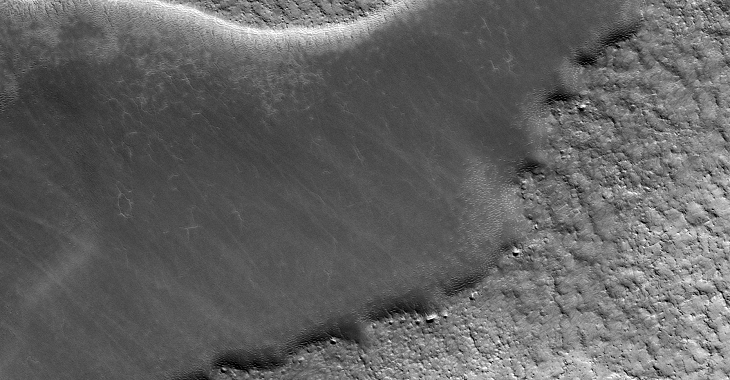 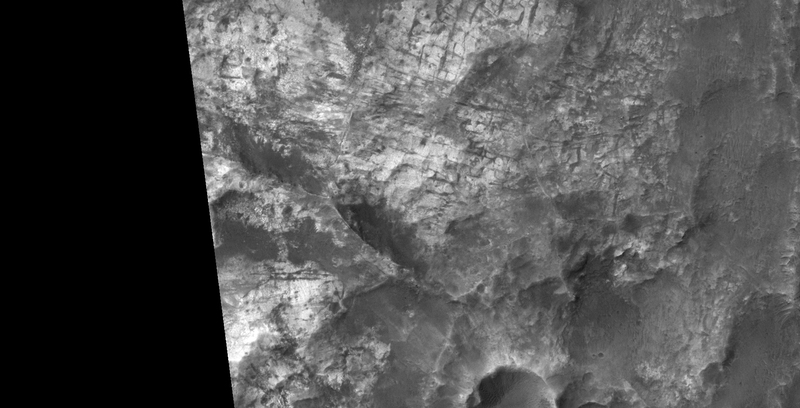 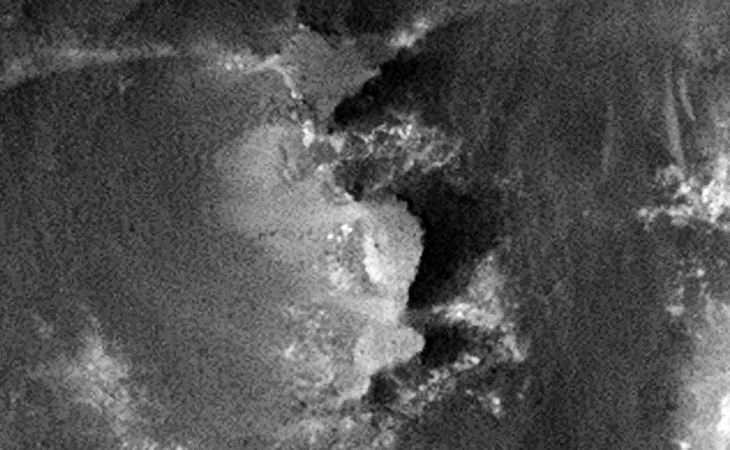 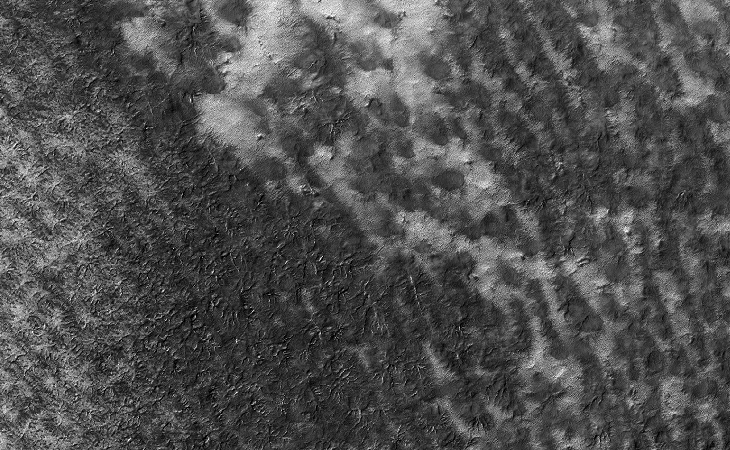 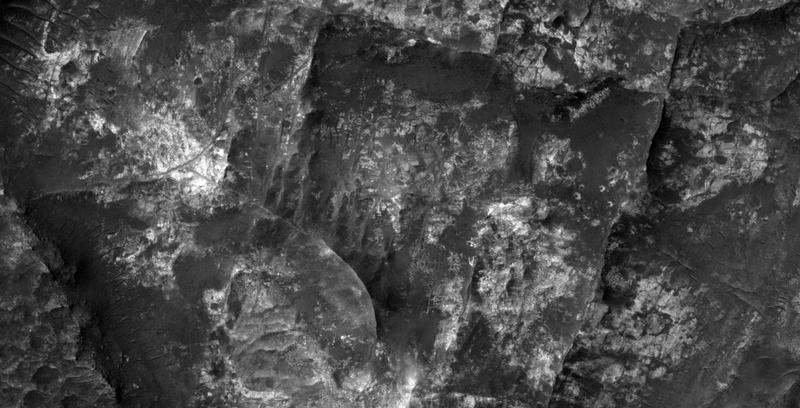 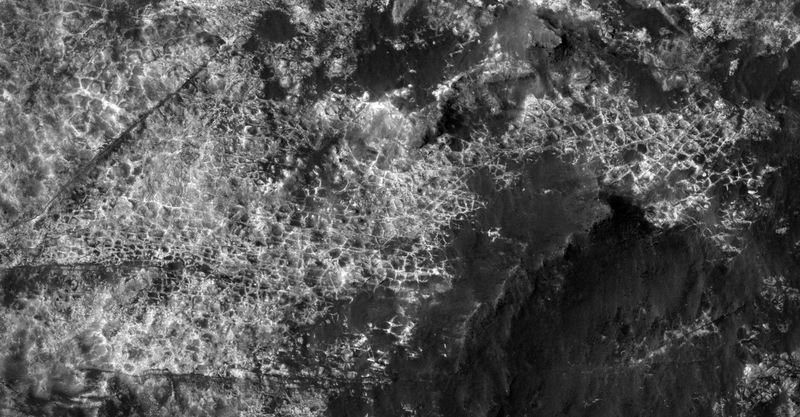 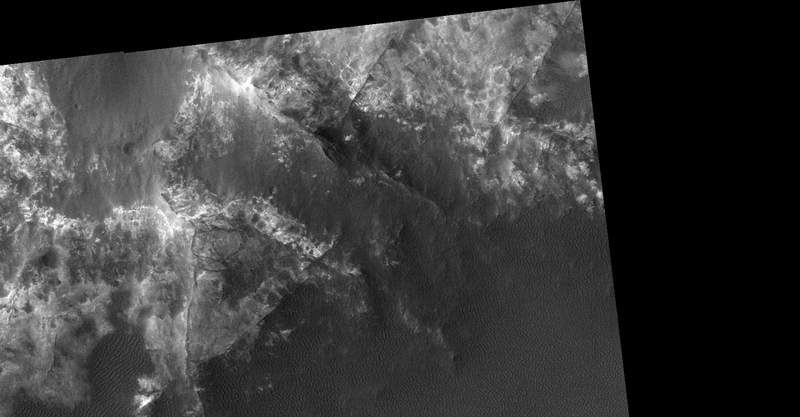 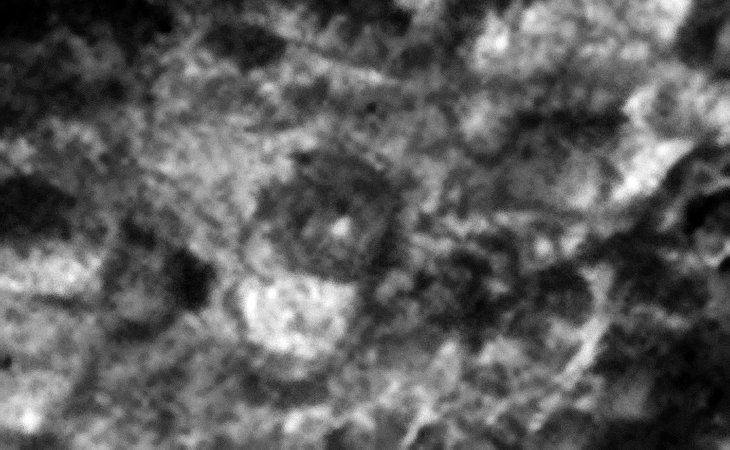 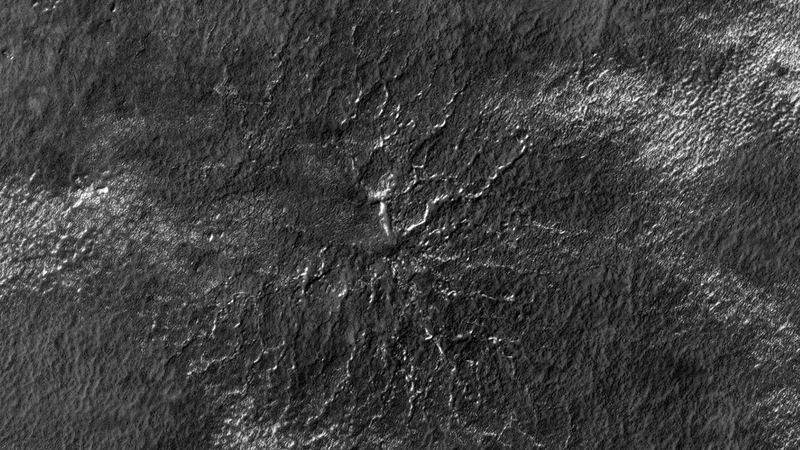 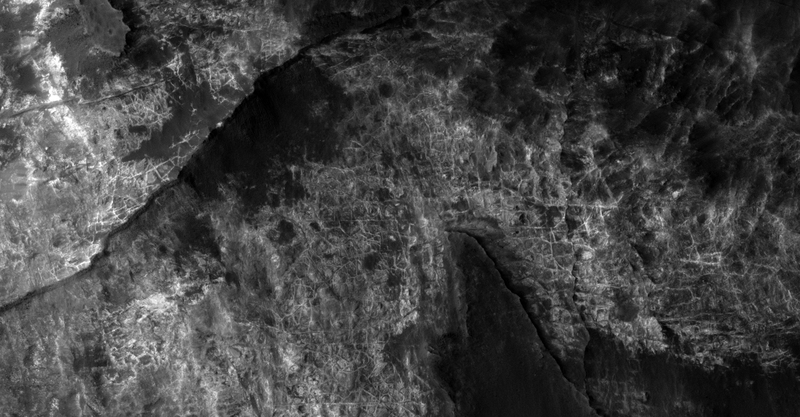 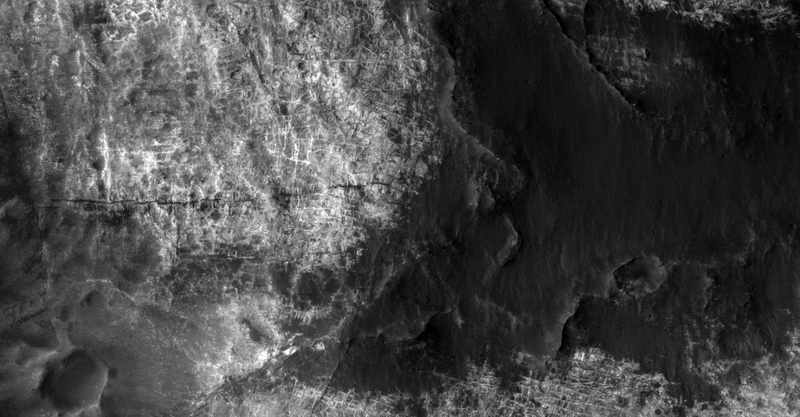 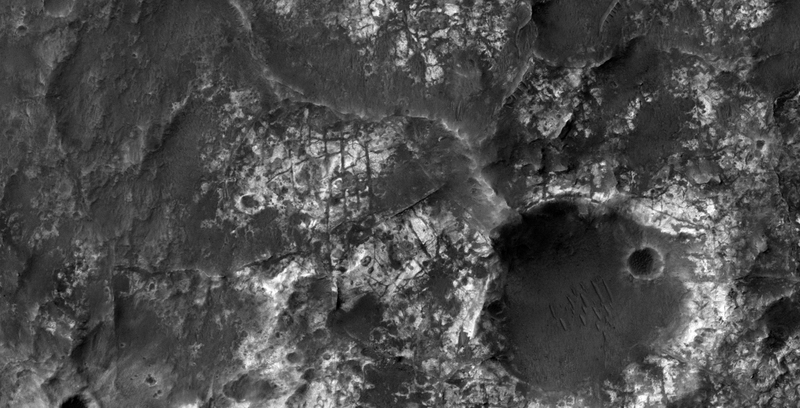 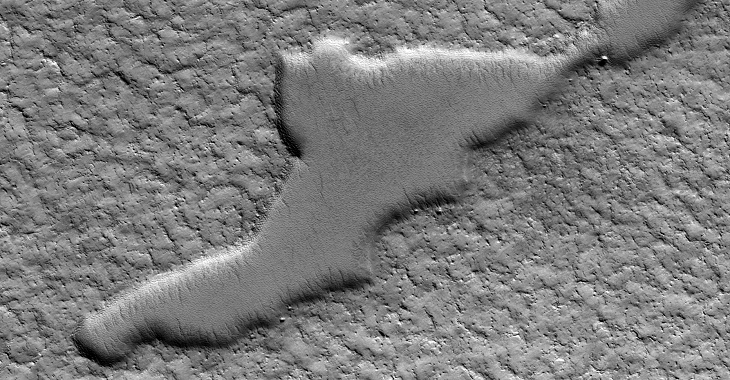 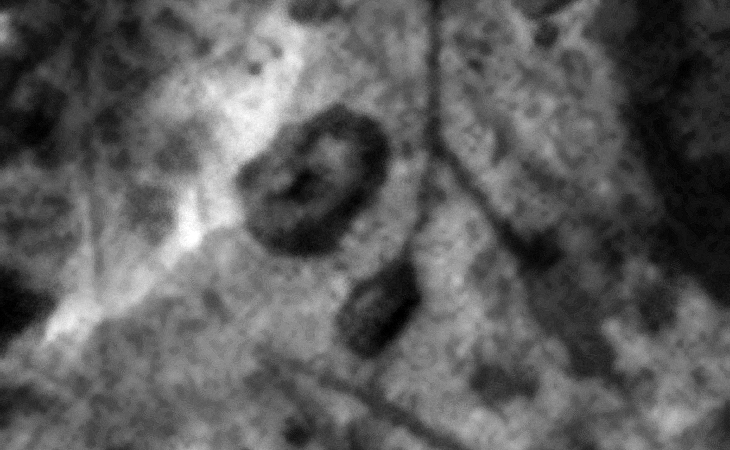 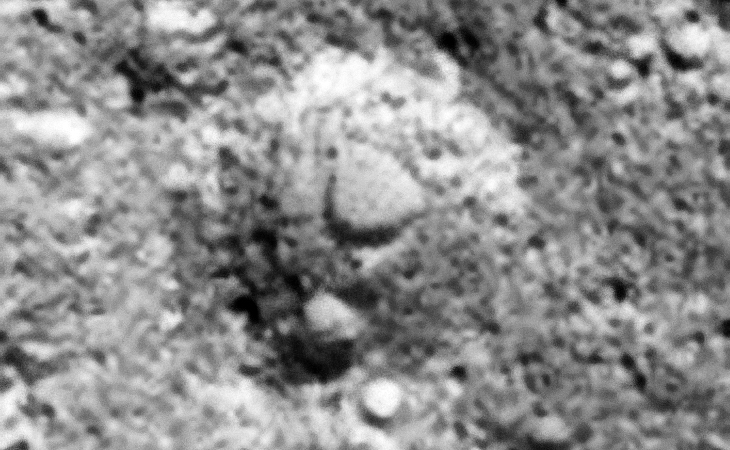 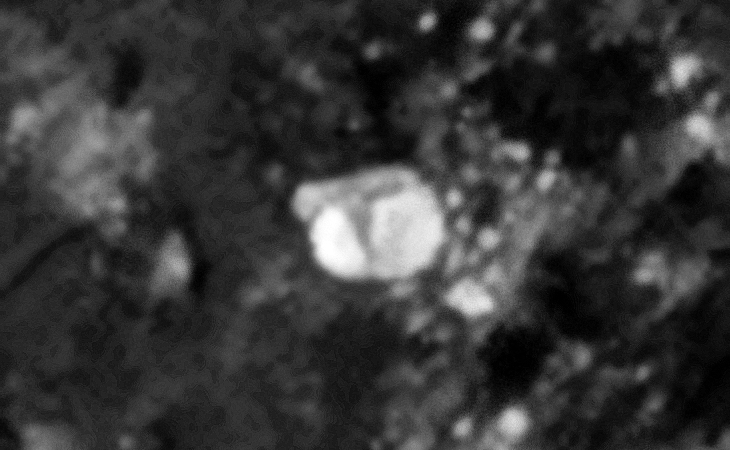 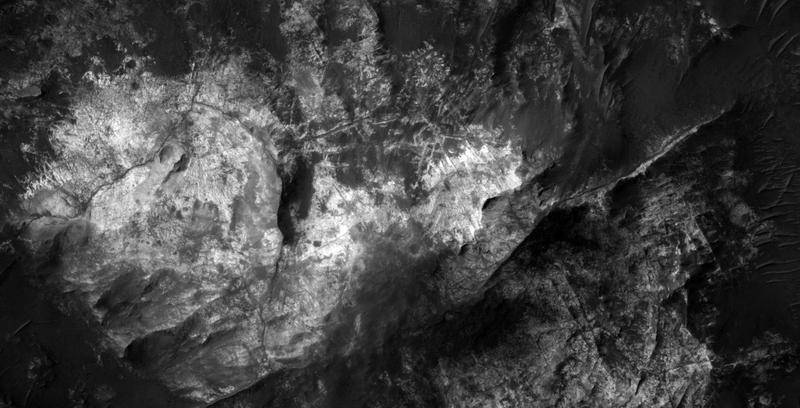 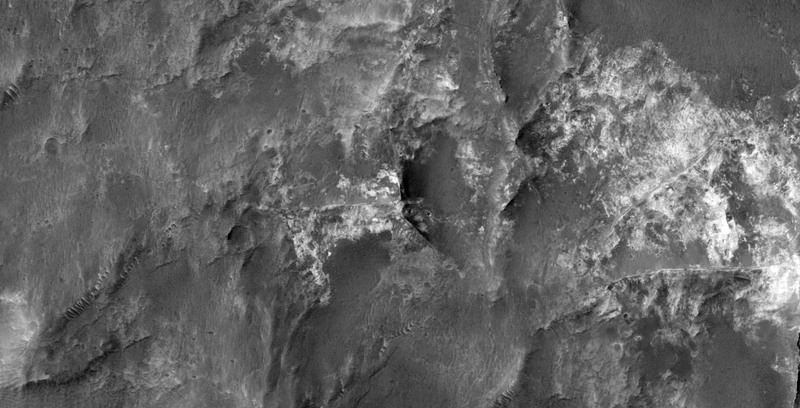 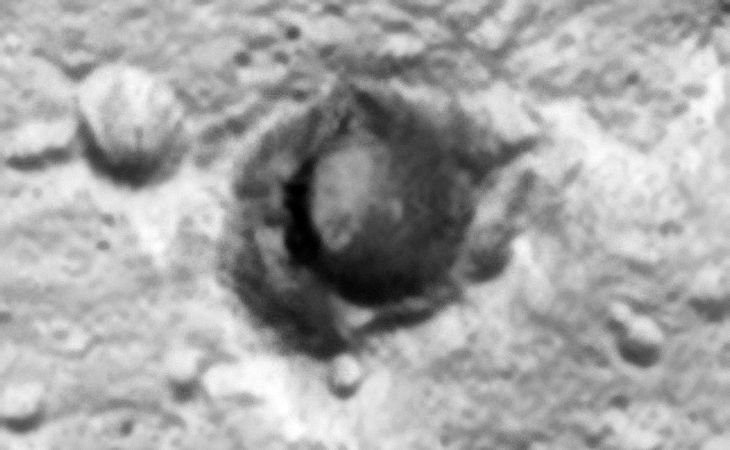 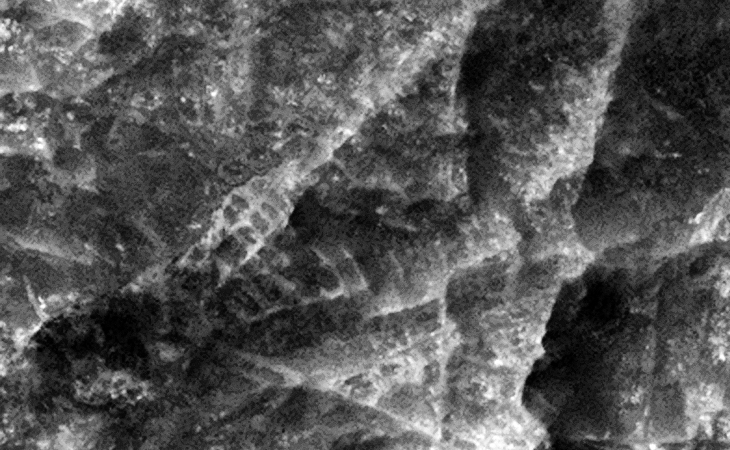 A MRO HiRISE photograph (ESP_023024_1010) taken of the same area about 12 years later shows the lake, however it seems it has either dried up or frozen over. 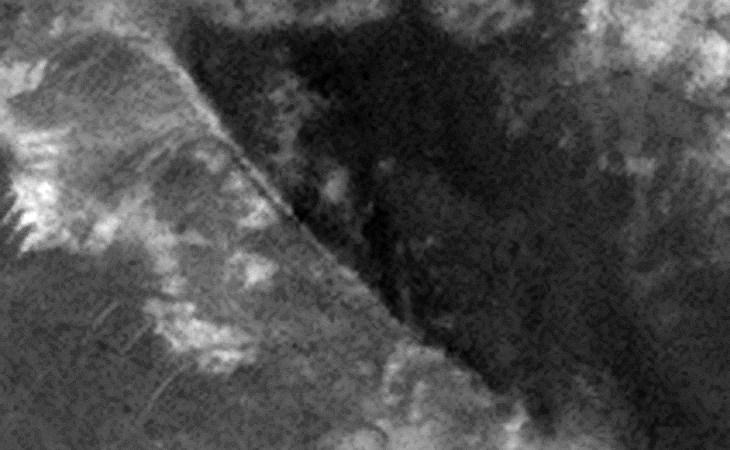 The surrounding vegetation also seems to have died and vanished. 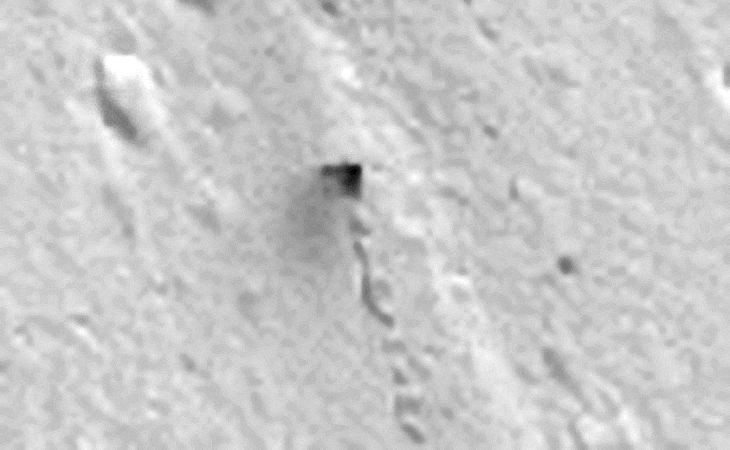 I speculate that due to the pressure Elon Musk’s SpaceX and their race to Mars is placing the agencies involved in a decades long cover up, the truth is being revealed in a slow, soft disclosure fashion. 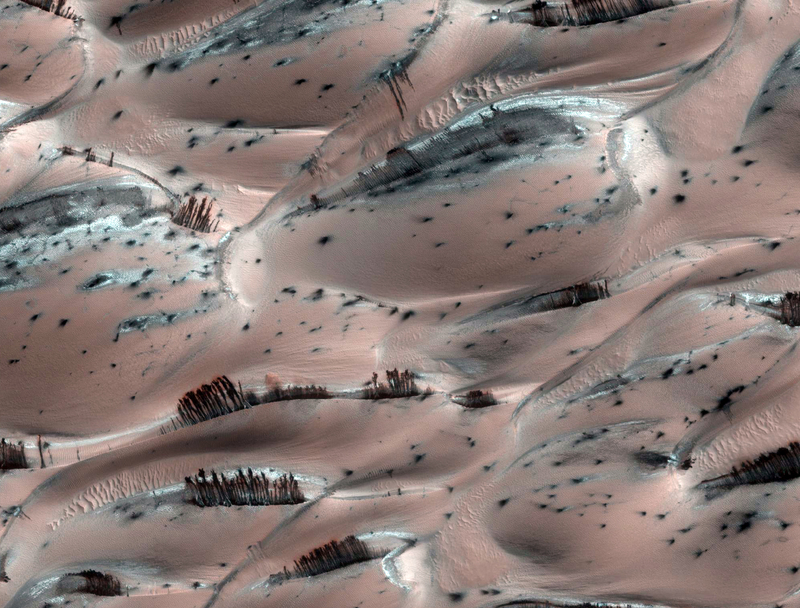 I further speculate that we will soon hear that liquid water has been discovered on the Martian surface. 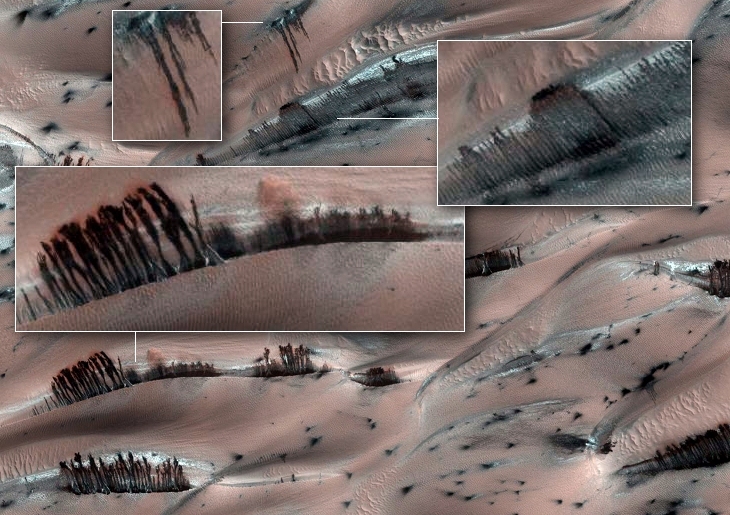 The two photographs analysed below show what appears to be a lake on the Martian surface. 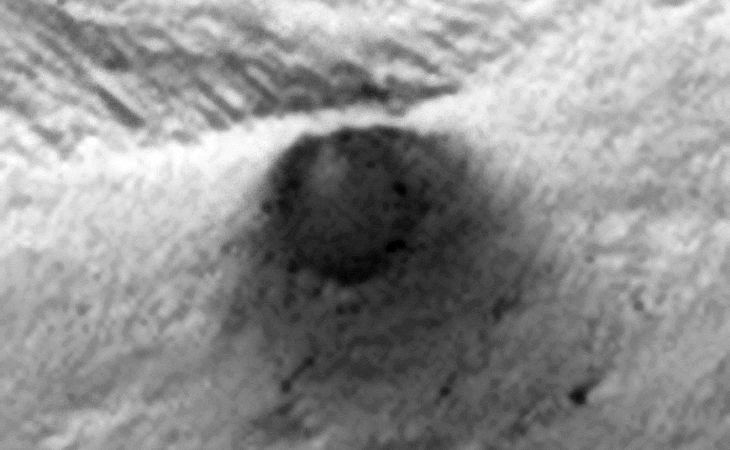 The first photograph (M09-01354) shows what looks like liquid water and vegetation surrounding the lake. 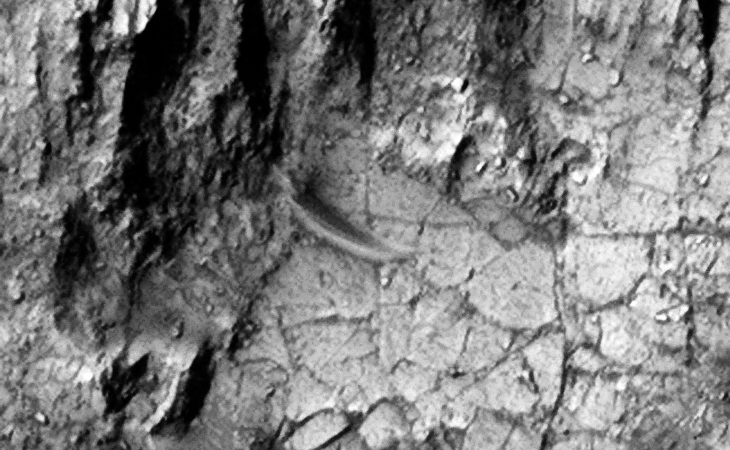 The second photograph (ESP_023024_1010) taken about 12 years later appears to show a dried up lake bed and it looks like the vegetation surrounding it has died. 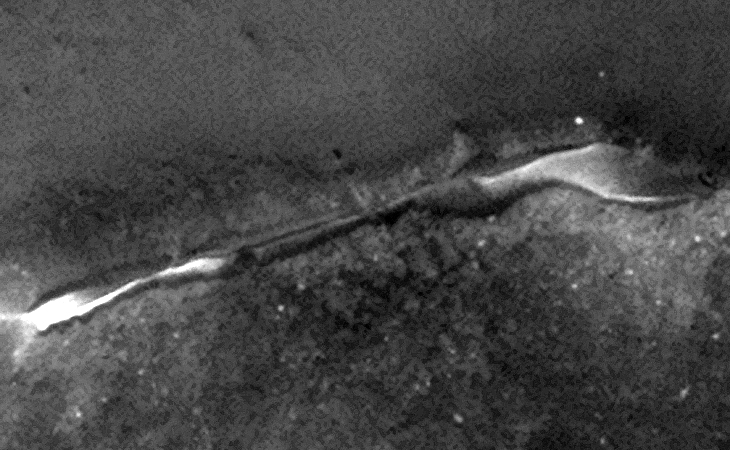 Upon closer inspection it looks like the shore-line of the larger lake in the earlier photograph is narrower than in the second photograph indicating the presence of might very well be water, therefore the deduction can be made that the shore-line being wider in the second photograph is as a result of the lack of water. 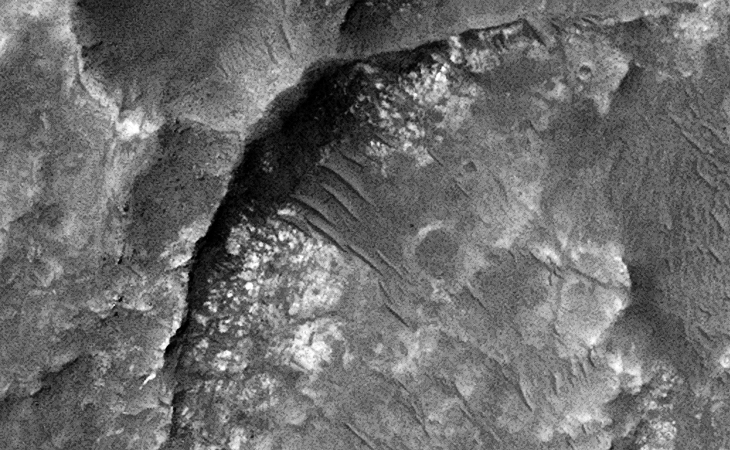 The vegetation may have died or dried out due to a seasonal change, e.g. 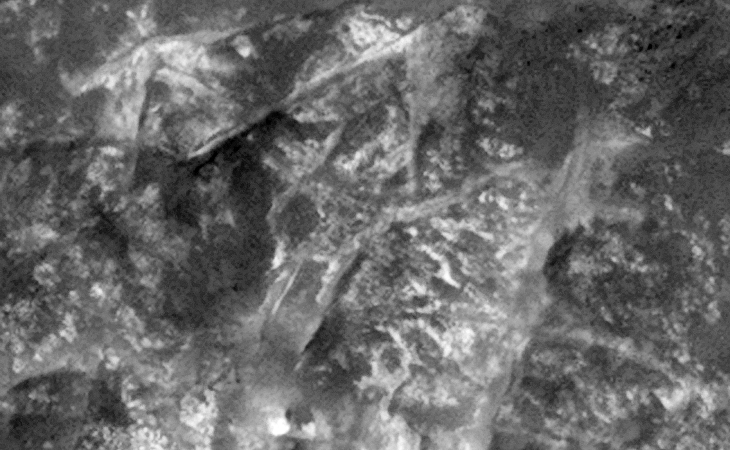 being winter at the time the second photograph was taken. We have seen dramatic changes on the Martian surface during summer months when liquid water is seen seeping out of the sand and running down gullies, etc. 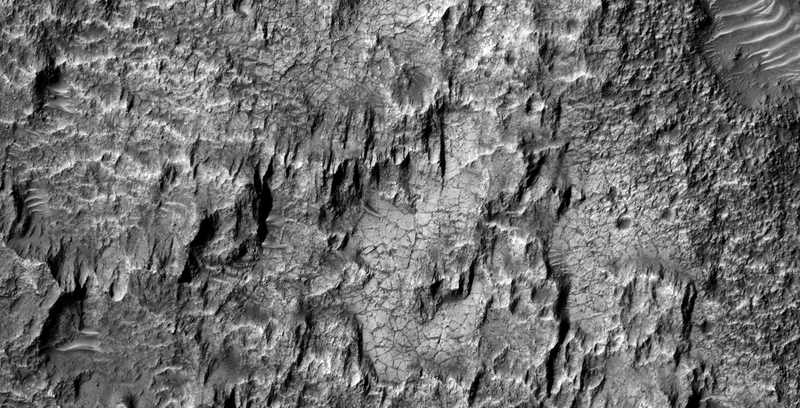 It might be that the vegetation may return during summer months on Mars. 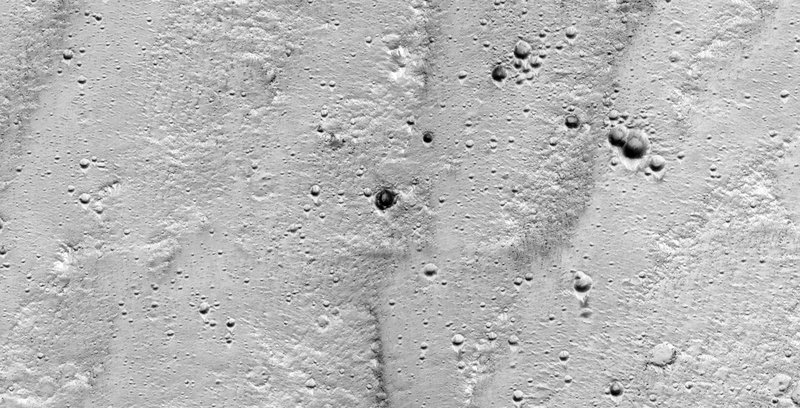 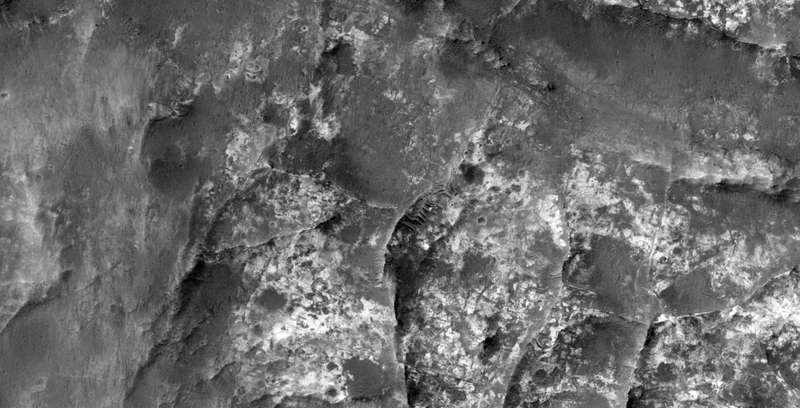 Ancient ‘Inca-Type’ Ruins, Retaining Walls or ‘Farm’ Found on Mars? 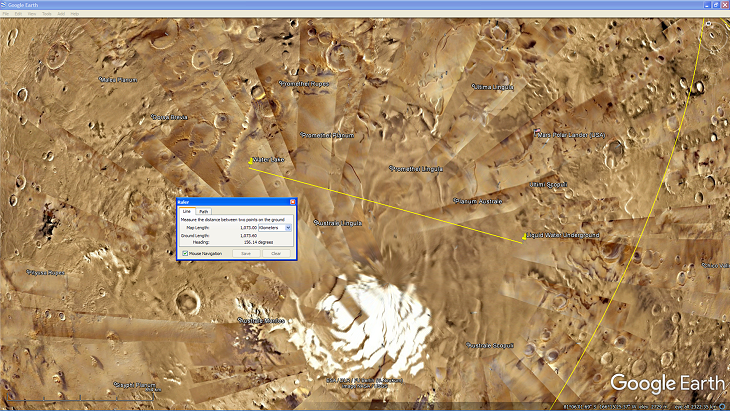 This is a collaborative work between Saturn Ark and RaptorZone in which more anomalies and artefacts are presented. 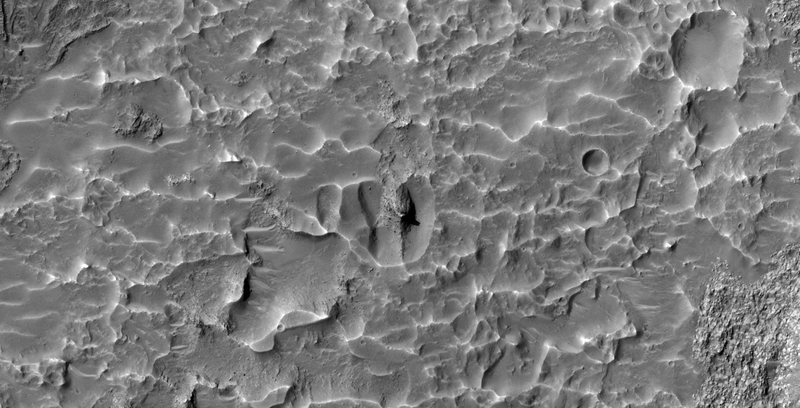 The photographs analyzed here (D04_028911_0985_XN_81S064W and ESP_021526_0985) were taken by NASA’s Mars Reconnaissance Orbiter (MRO) CTX and HiRISE Cameras on 26 September 2012 and 28 February 2011 respectively. 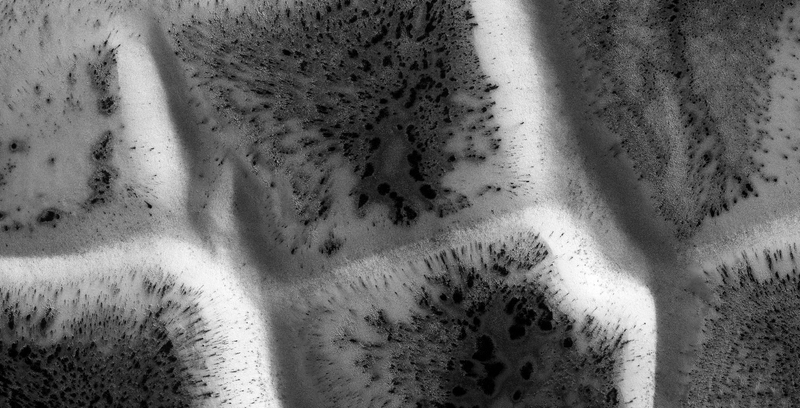 NASA describes the photographs as “Ride-along with HiRISE” and “Monitoring Defrosting Patterns on Inca City Ridges” respectively. 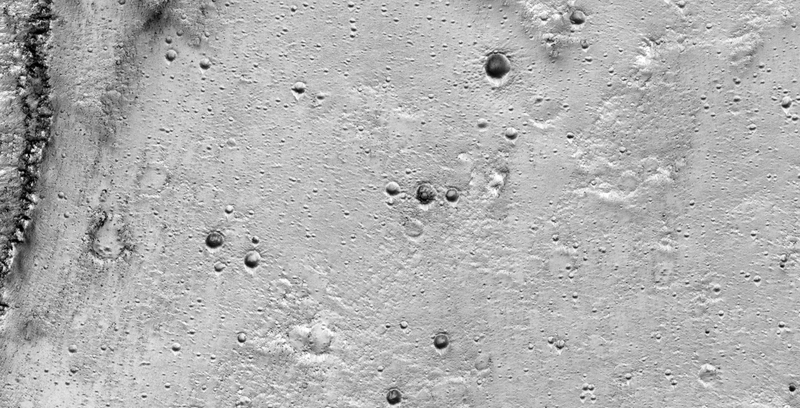 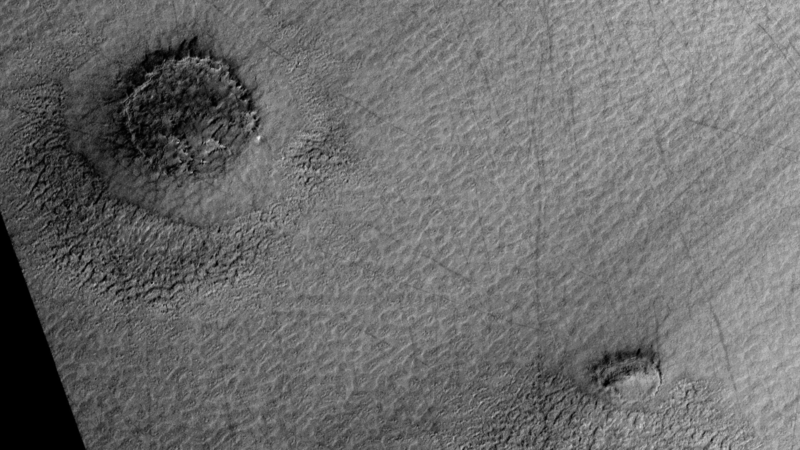 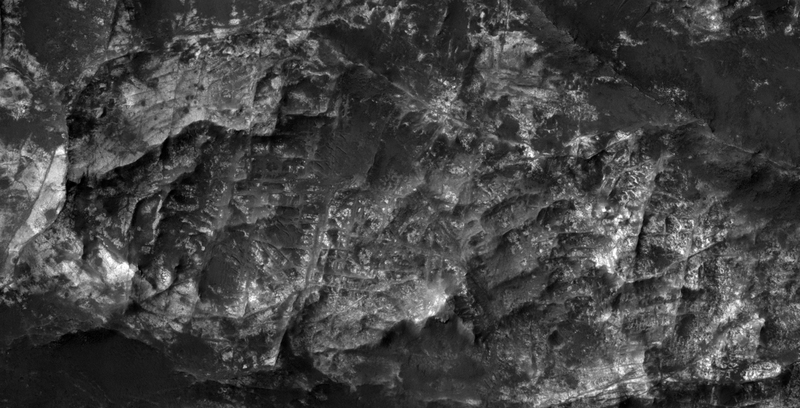 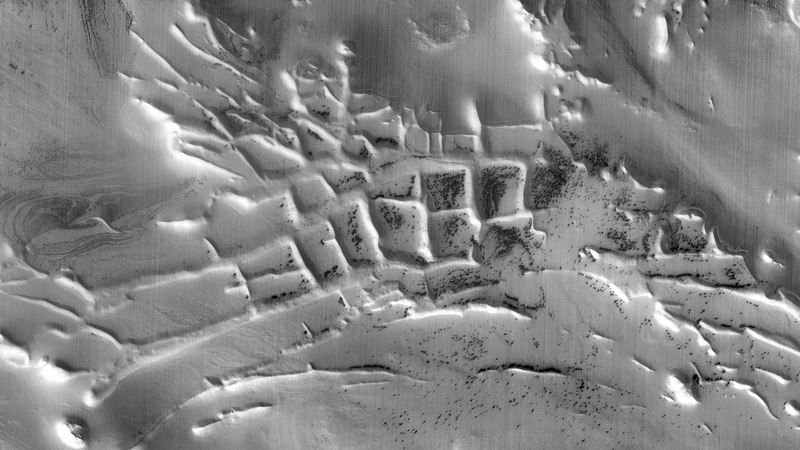 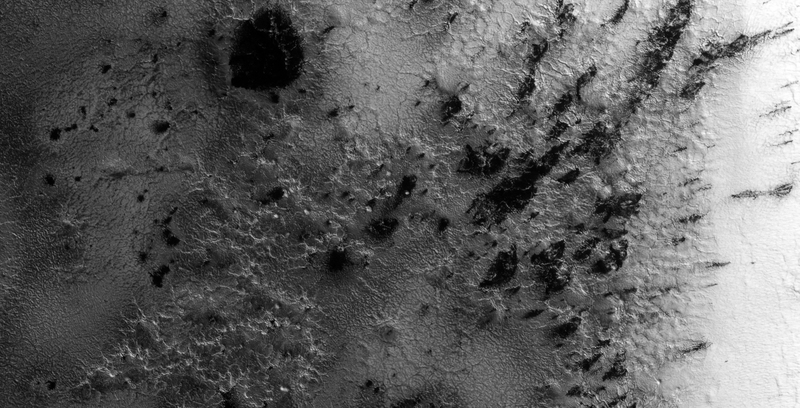 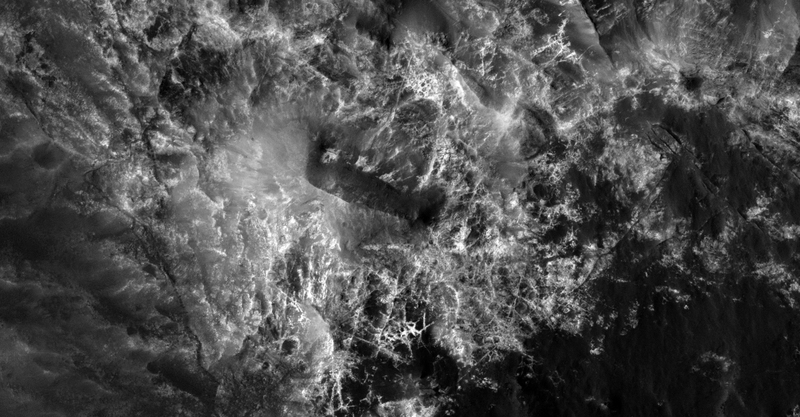 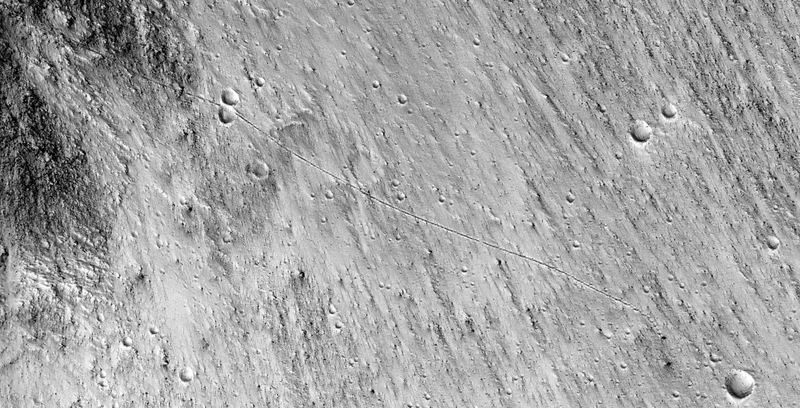 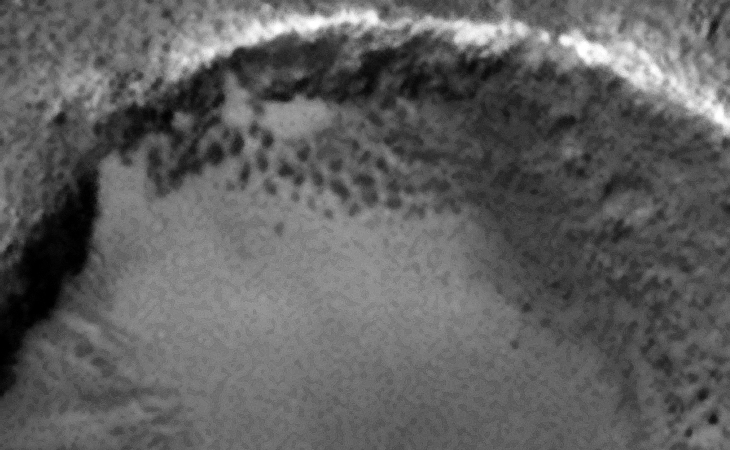 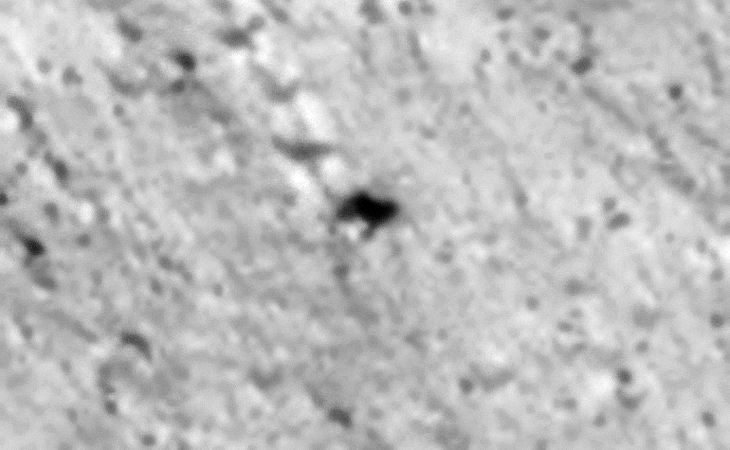 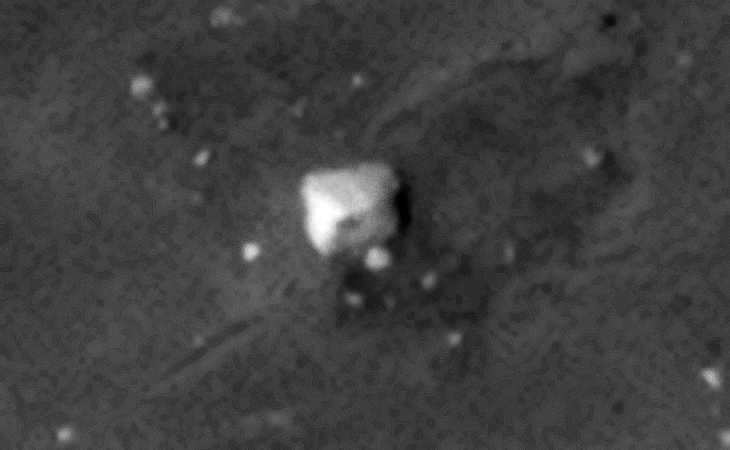 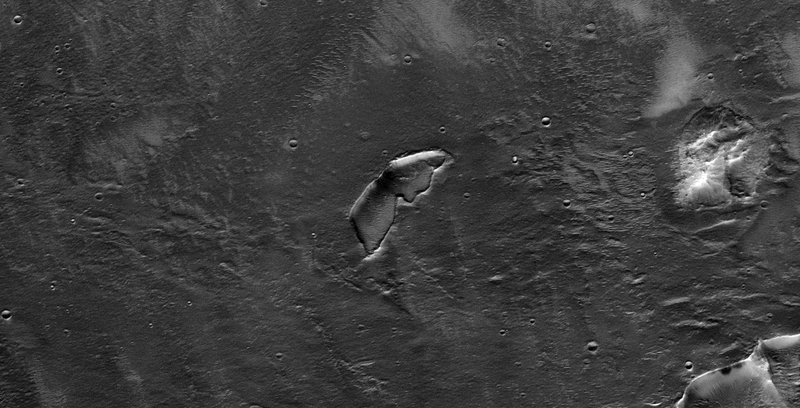 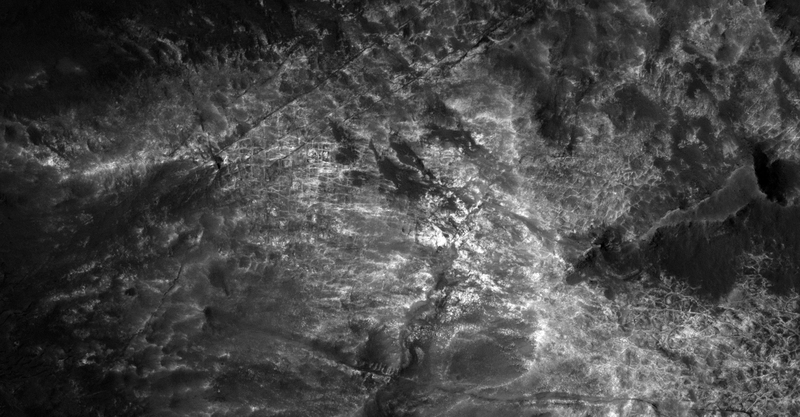 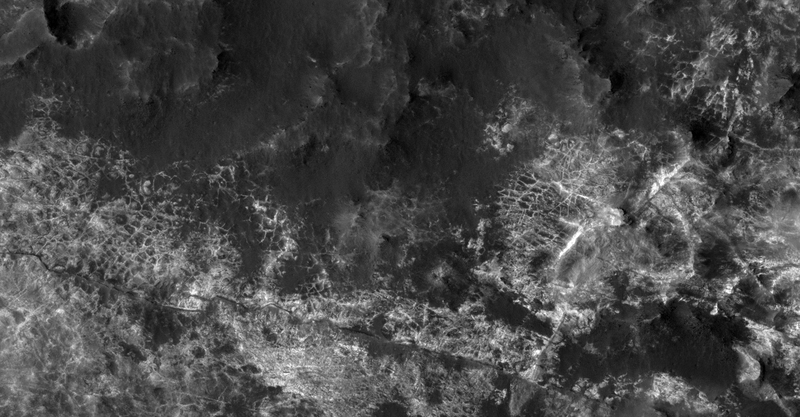 Discovered recently, this really interesting area located near the South Pole of Mars in an area called Angustus Labyrinthus, seems to show what looks like rectangular walled structures and/or perhaps some type of large-scale farming of some kind. 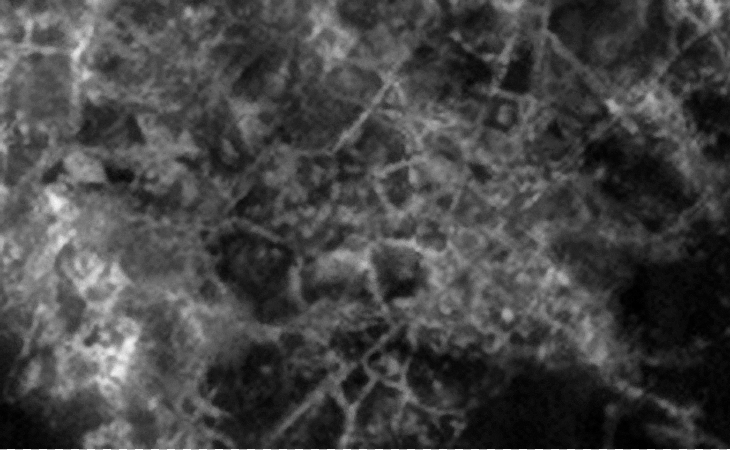 The walls, approximately 100 m thick, form square shapes with very straight sides measuring 3 km in length; highly unusual thus the speculation that these may be artificial and may be evidence of intelligent design. 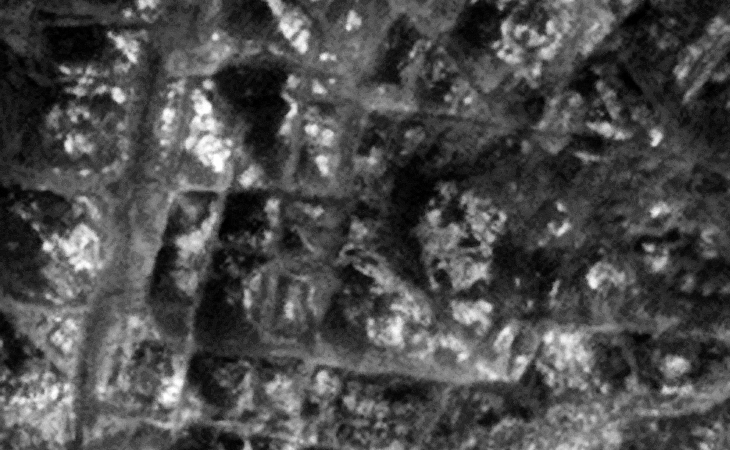 Furthermore we can only speculate whether these are ancient or modern structures as they are partially covered. 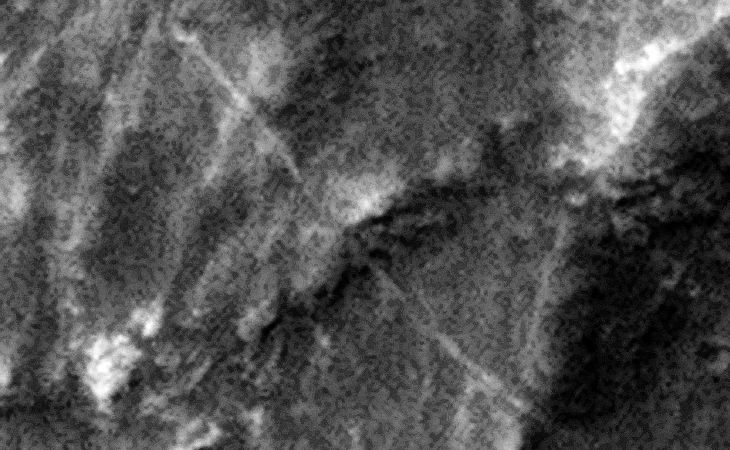 Could these be remnants of an ancient structure/building, retaining walls used in some kind of large scale farming? 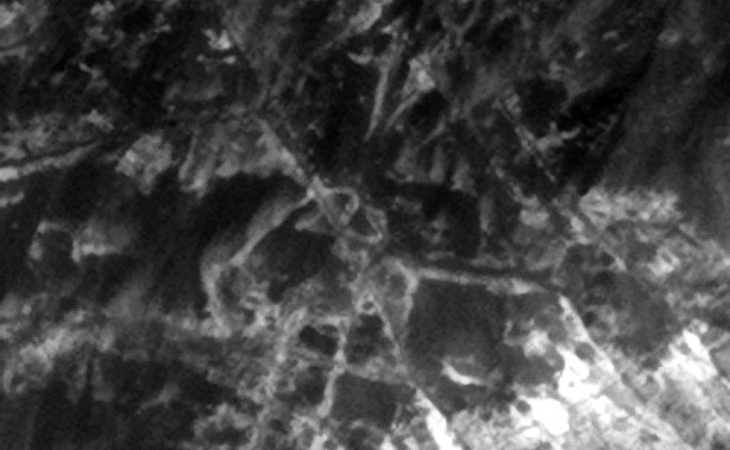 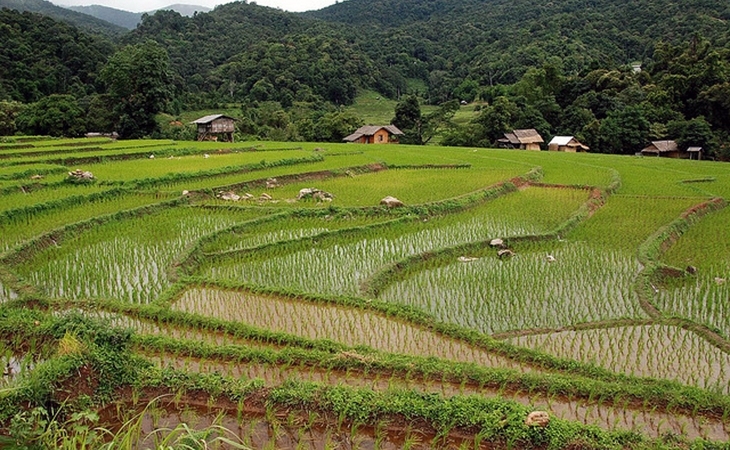 The walled off area’s remind me of rice fields/farming as found here on Earth. 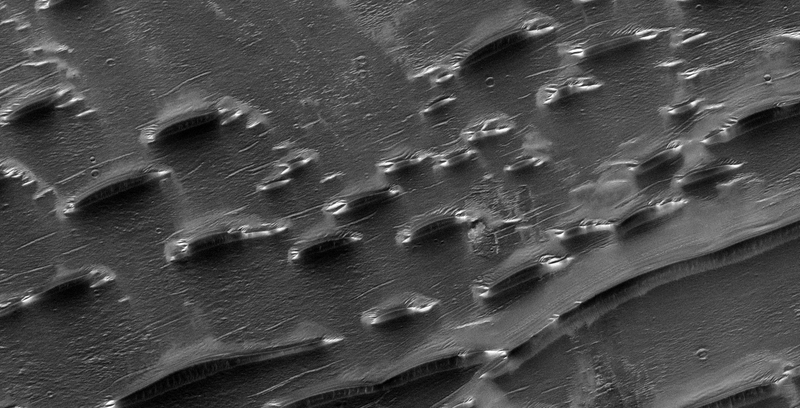 ‘Transit-Hubs’ and More in Atlantis Chaos City on Mars? 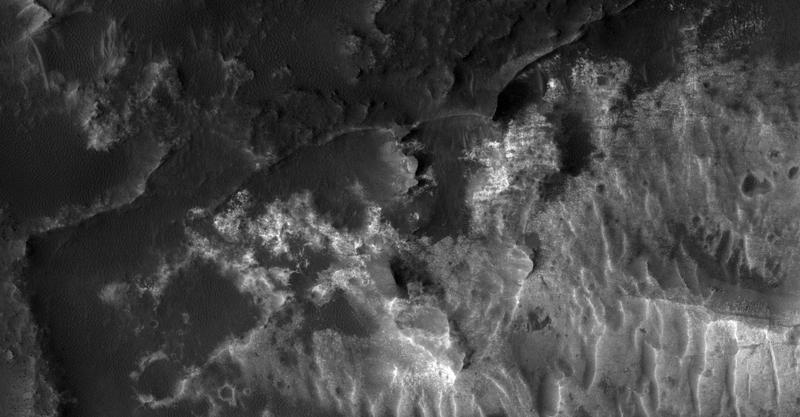 This photograph (ESP_041151_1500) was taken by NASA’s Mars Reconnaissance Orbiter (MRO) HiRISE Camera on 07 May 2015. 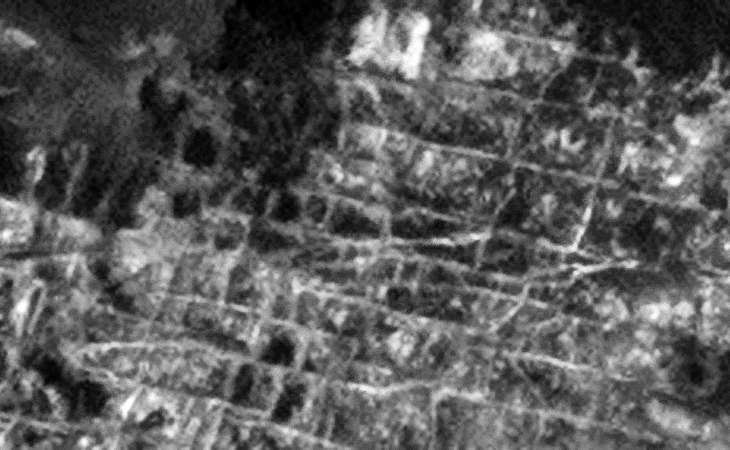 I discovered what looks like a city with walls, ruins, high-way fly-overs, bridges, transit-hubs, open pit mining quarries, pipes, diamond shapes, pyramids, strange craft and even what appears to be radiation warning symbols carved into the Martian surface? 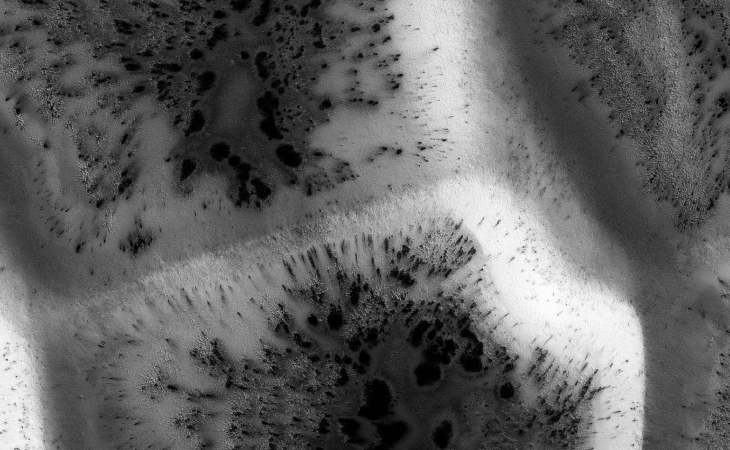 In my opinion the geometry of the structures is just to prefect and coincidental to be natural. 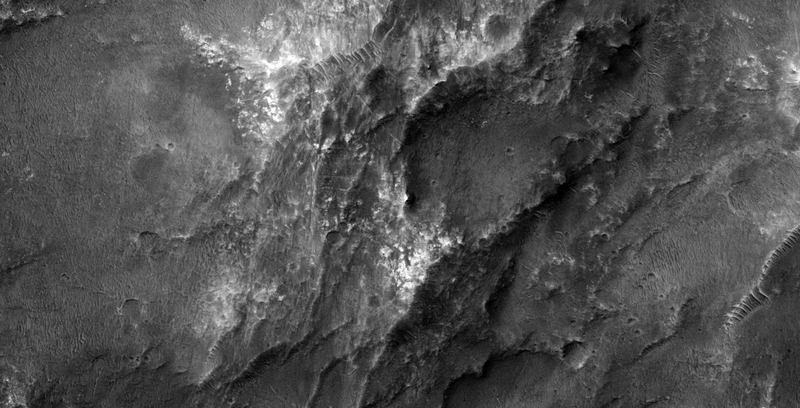 This photograph (ESP_012945_1450) was taken by NASA’s Mars Reconnaissance Orbiter (MRO) HiRISE Camera on 01 May 2009. 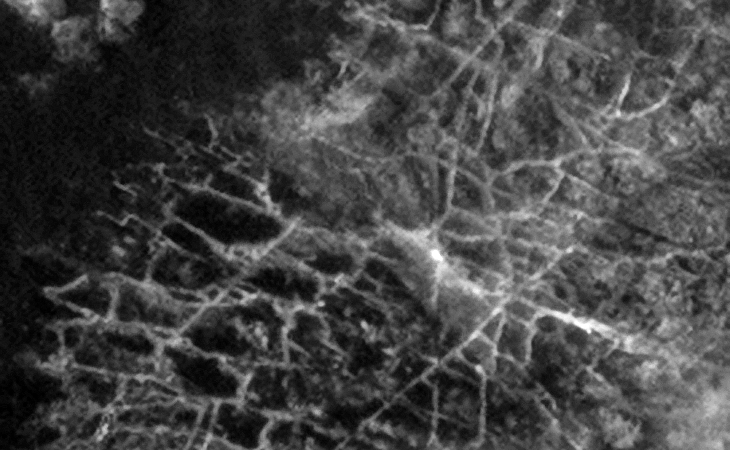 I discovered what looks like vast area’s of the Martian surface covered in some kind of grid-like structures. 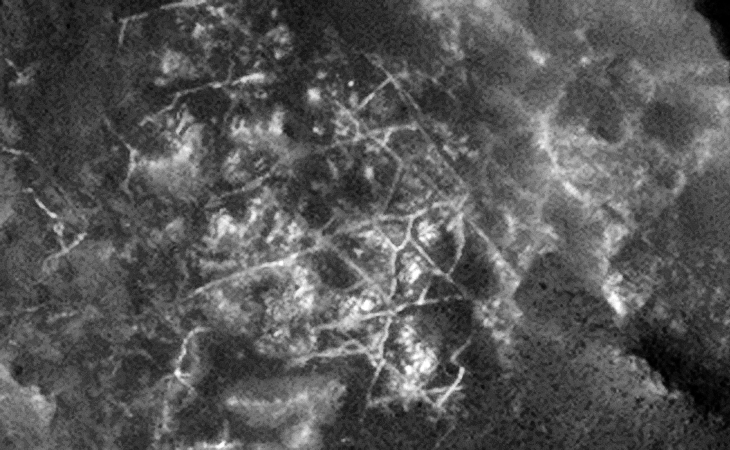 Are these pipes, walls, plant roots or wire fashioned into grid-like structures which appear to be illuminated artificially (like a city on Earth seen from space during night time)? 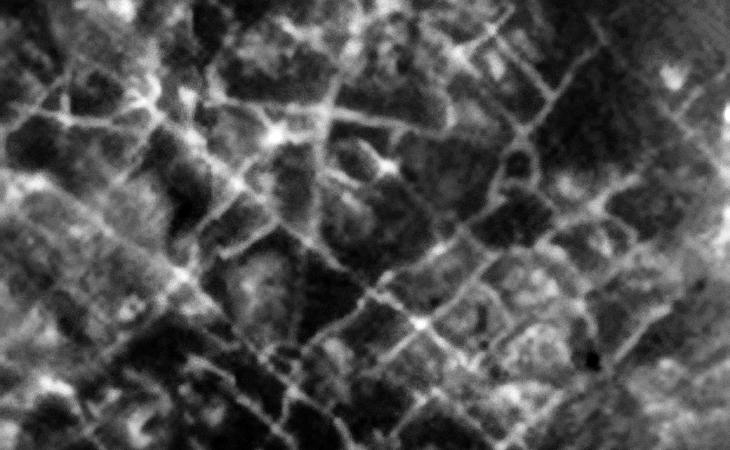 Seen are multiple shapes consisting of parallel lines, right angles, triangles, rectangles, squares, domes and even what looks like a pumping station and satellite dish. 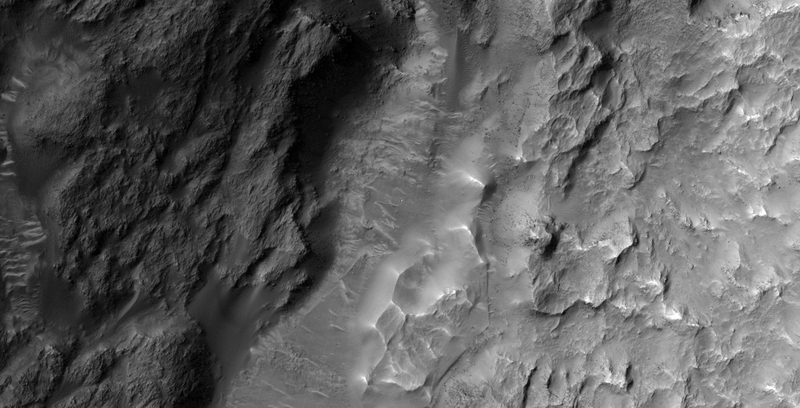 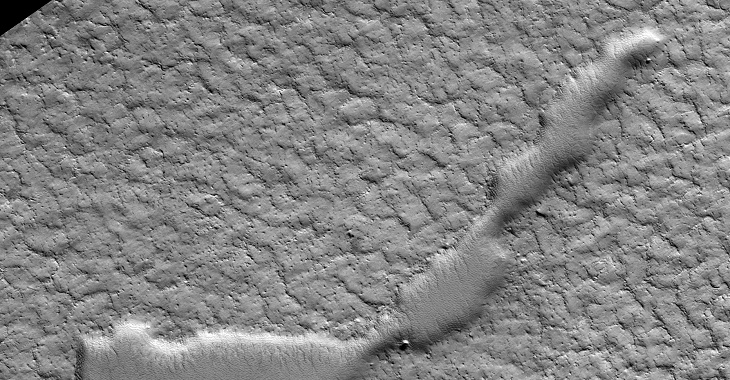 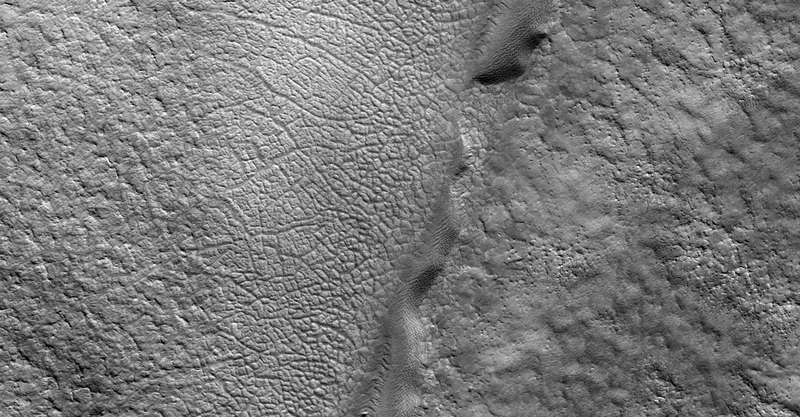 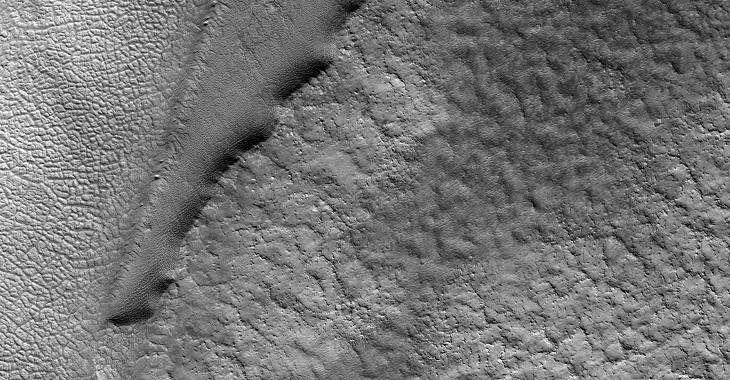 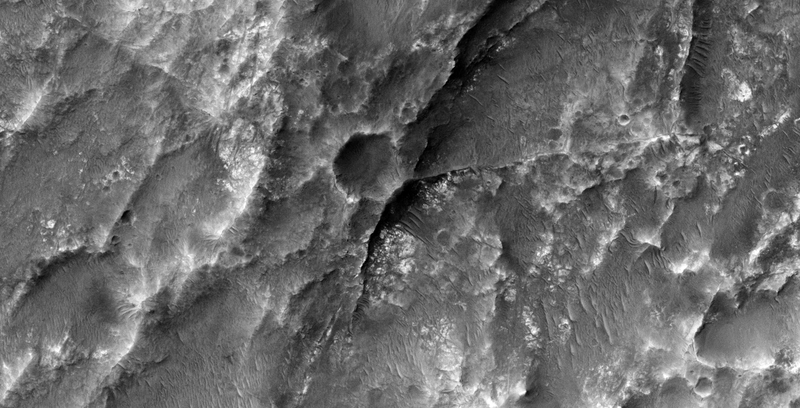 This photograph (ESP_014166_1820) was taken by NASA’s Mars Reconnaissance Orbiter (MRO) HiRISE Camera on 04 August 2009. 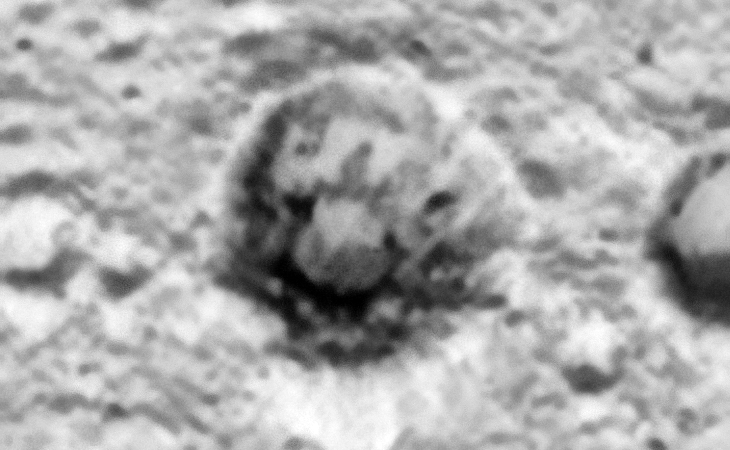 I discovered what look like dome-shaped objects, pipes, strange crater/pit anomalies, underground entrances, air-vents, traces of liquid (perhaps water? 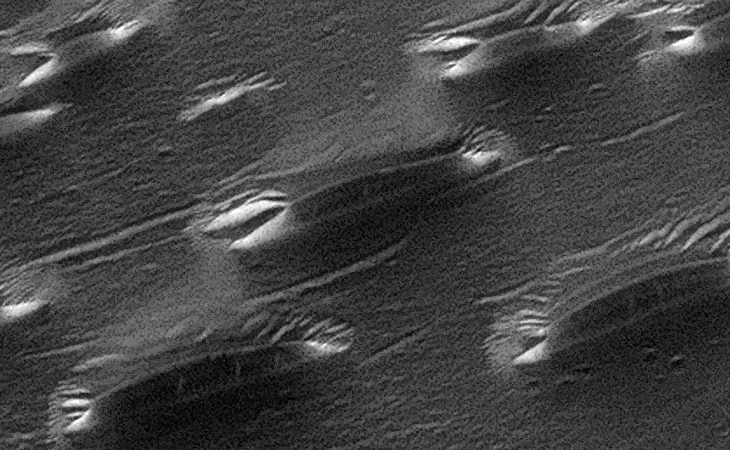 ), vegetation, tracks on the Martian surface, vehicles and craft. 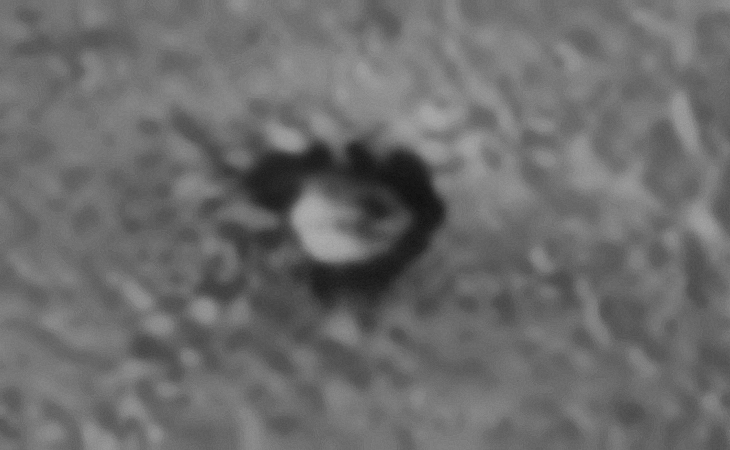 PS: Rotate the ‘disc-like’ craft 180 degrees clockwise to get the true effect. 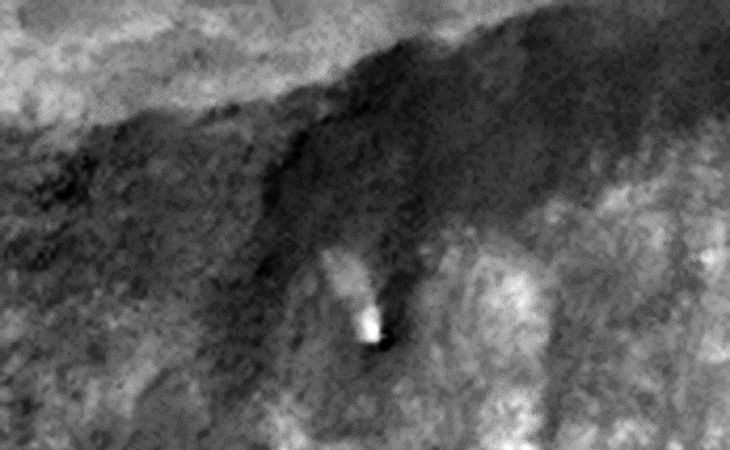 I’ll post a follow-up video in which I look at this anomaly a little closer. 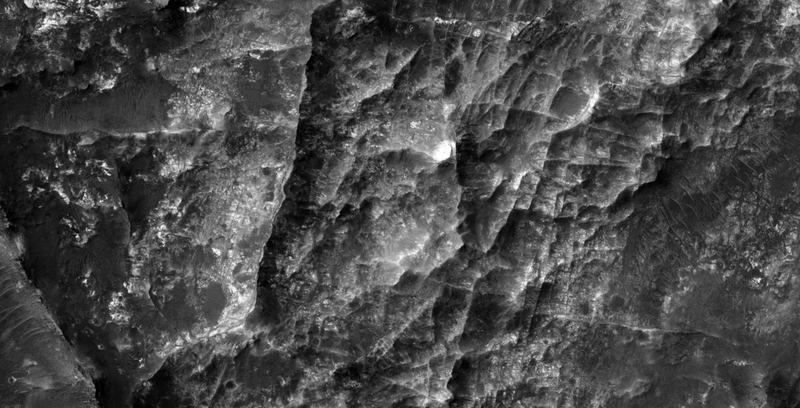 Could there be an underground city in this area as researchers speculated after seeing the Phobos II IR photograph decades ago? 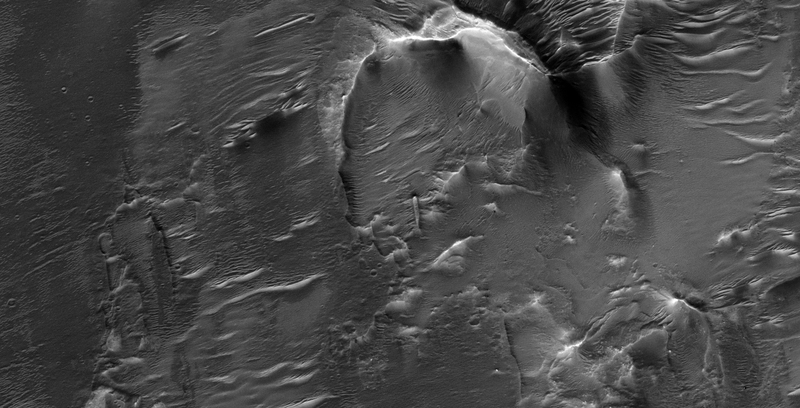 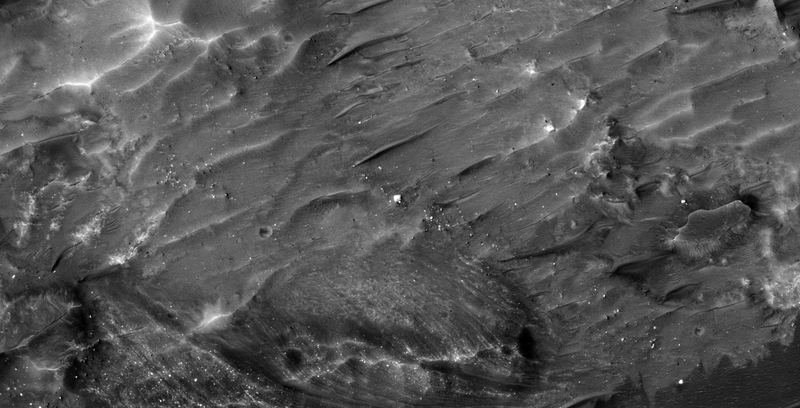 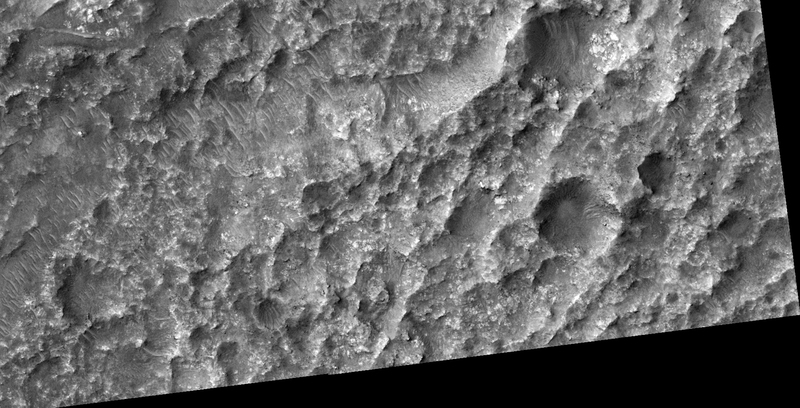 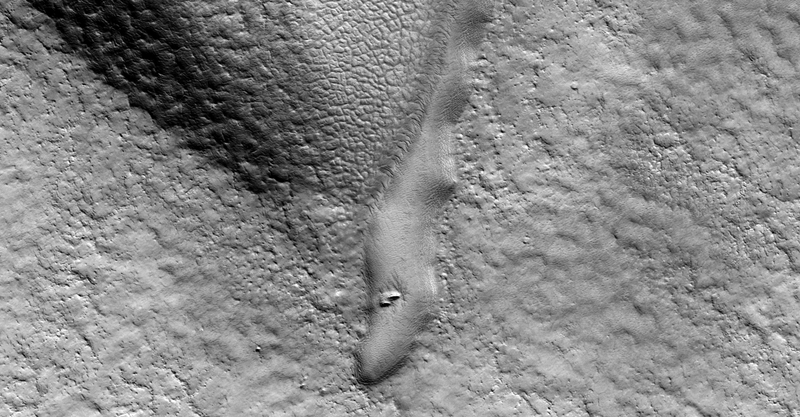 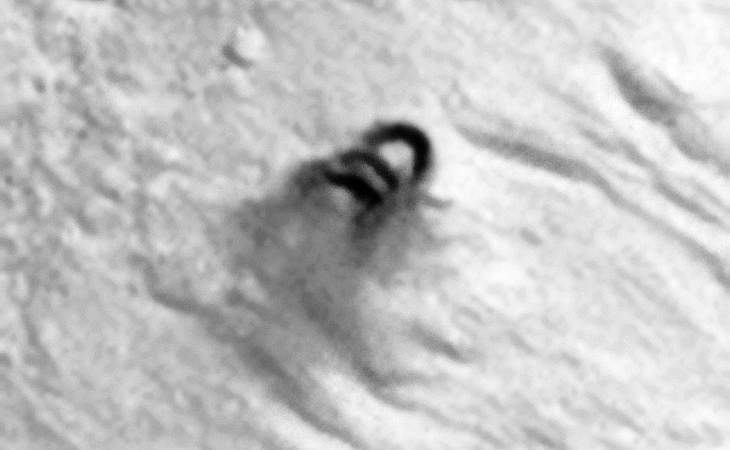 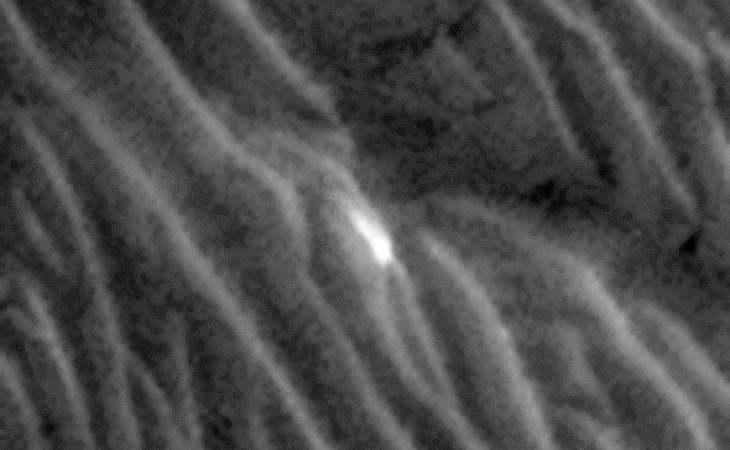 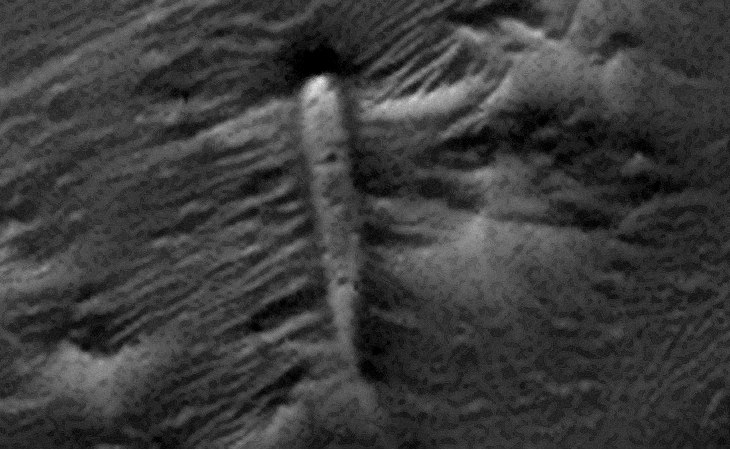 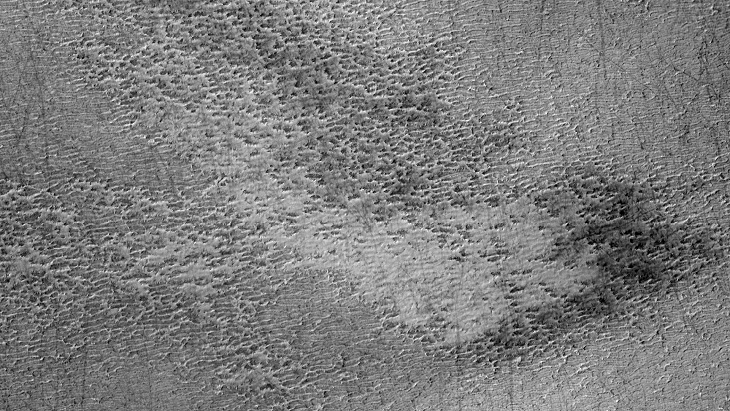 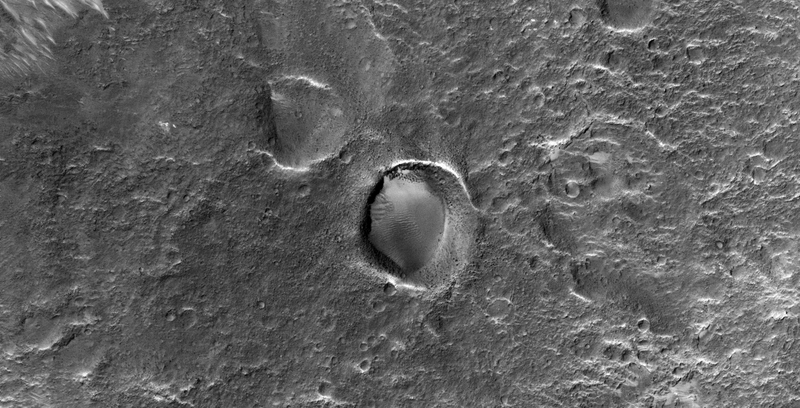 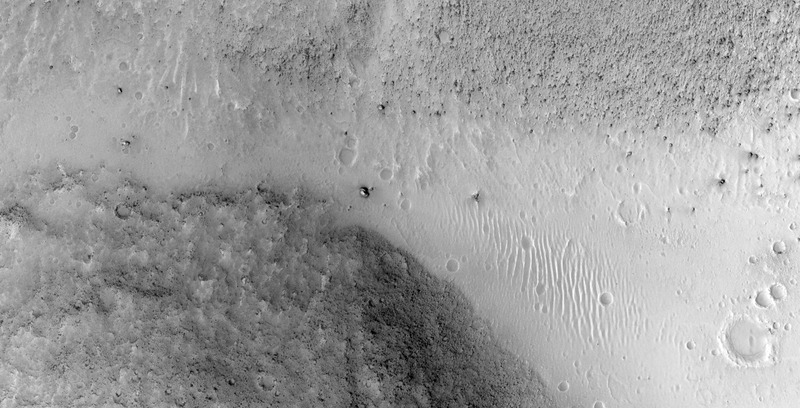 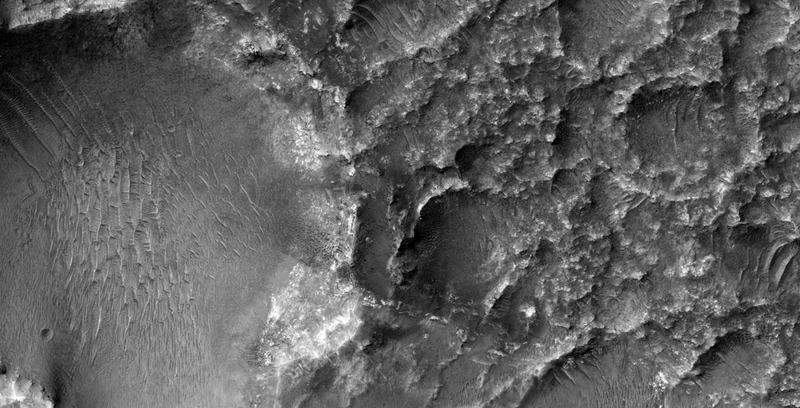 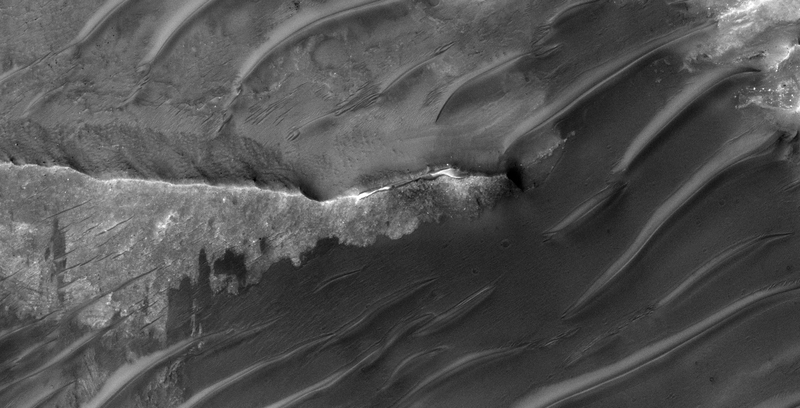 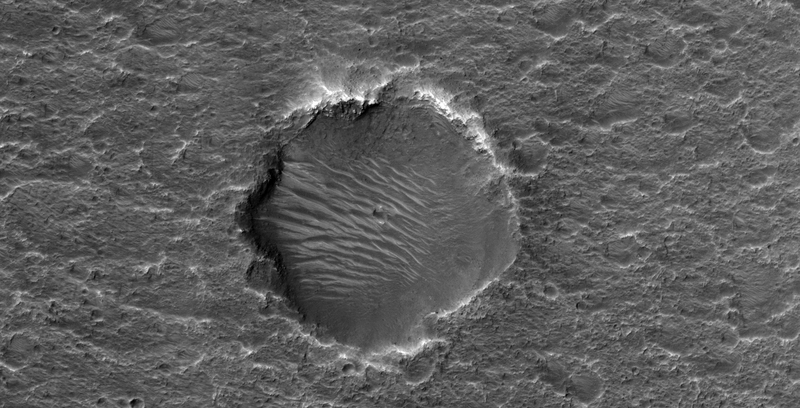 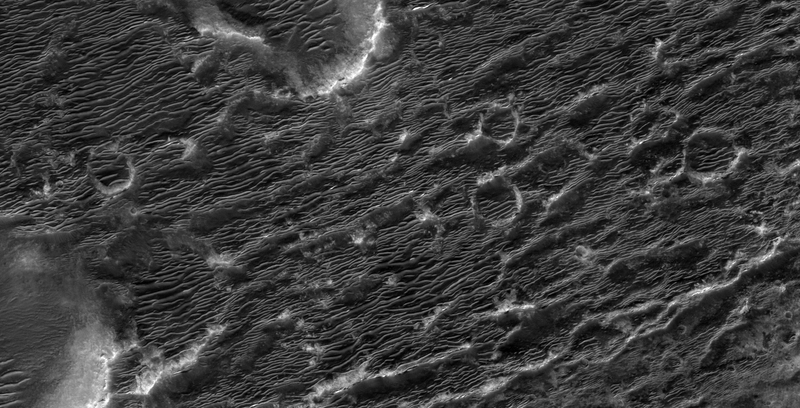 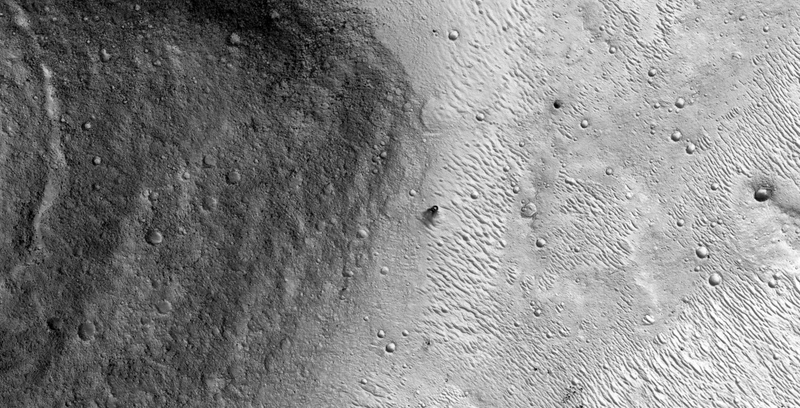 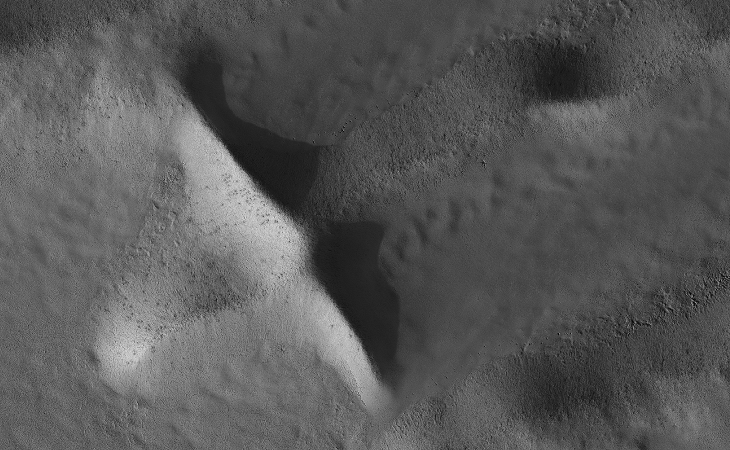 This photograph (PSP_008628_1800) was taken by NASA’s Mars Reconnaissance Orbiter (MRO) HiRISE Camera on 29 May 2008. 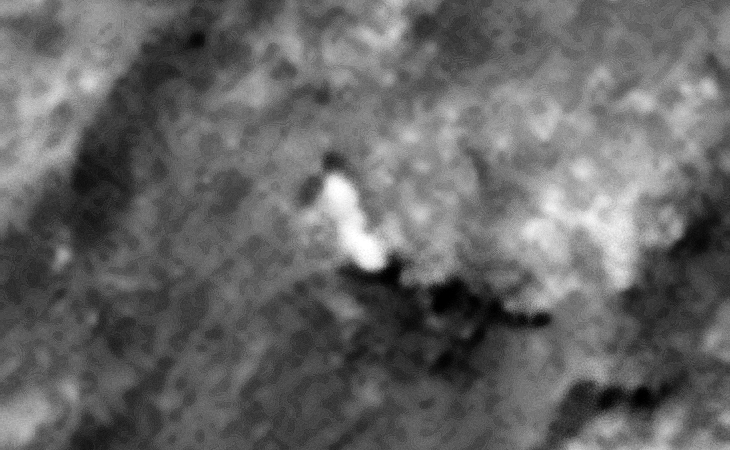 I discovered what look like traces of liquid, plants/trees, a megalith, another very bright object (if not a camera anomaly), an odd destroyed piece that looks possibly technological in nature and some interesting geology. 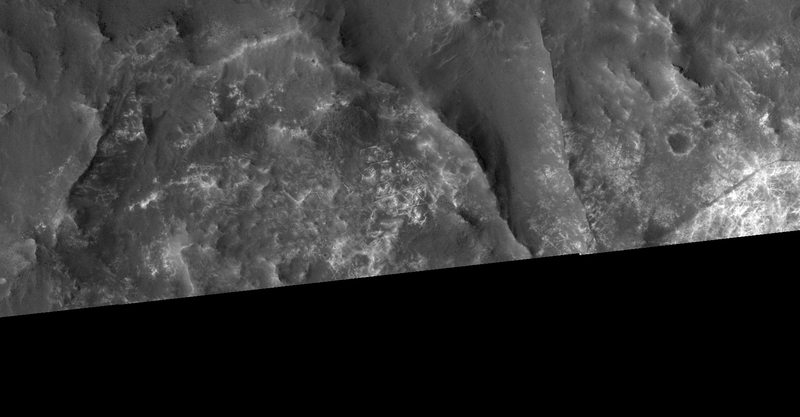 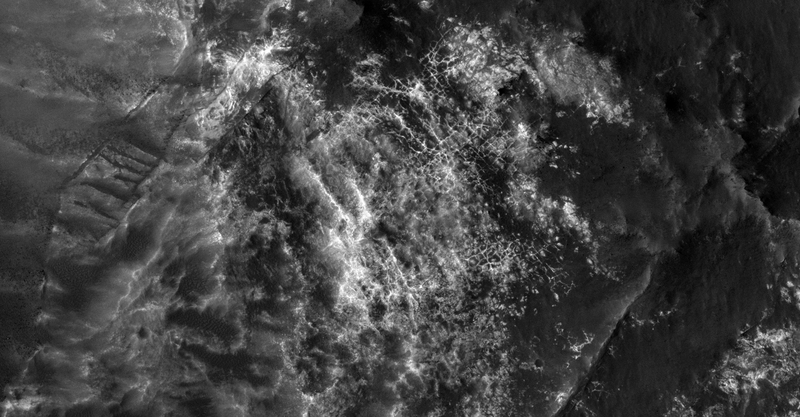 I downloaded the HiRise Merged RGB Map-Projected JP2 file to view this anomaly. 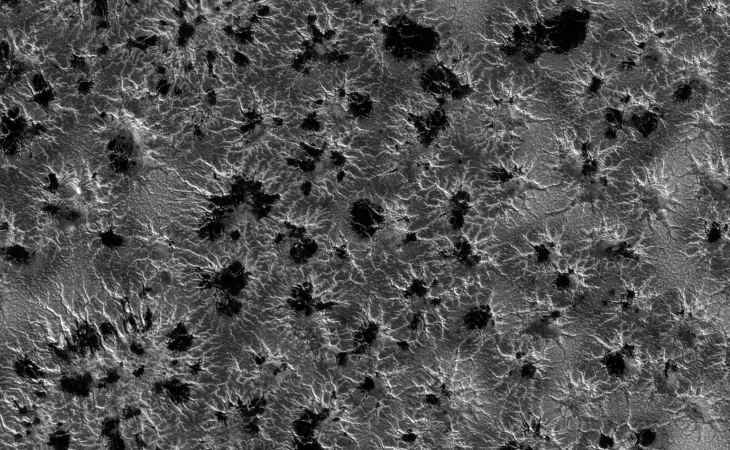 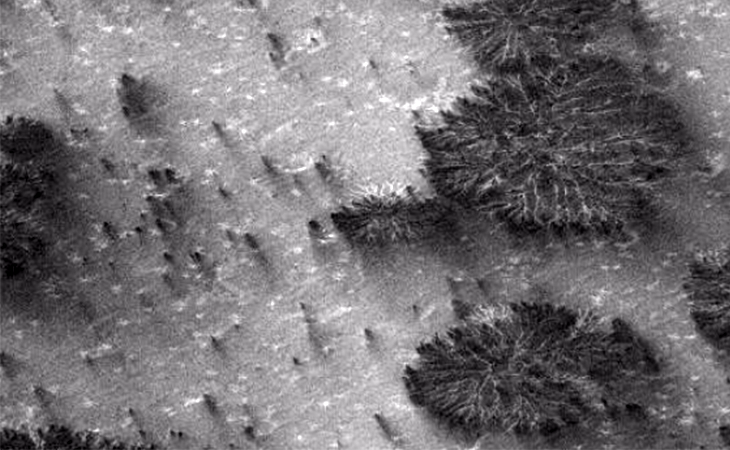 Trees and a formation of crystal shards found on Mars? 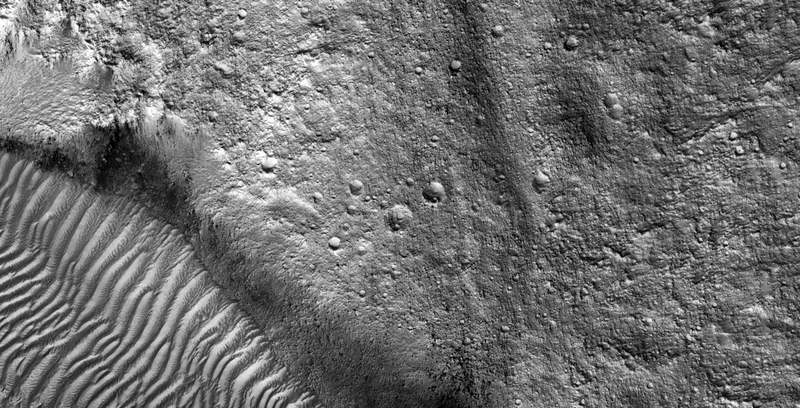 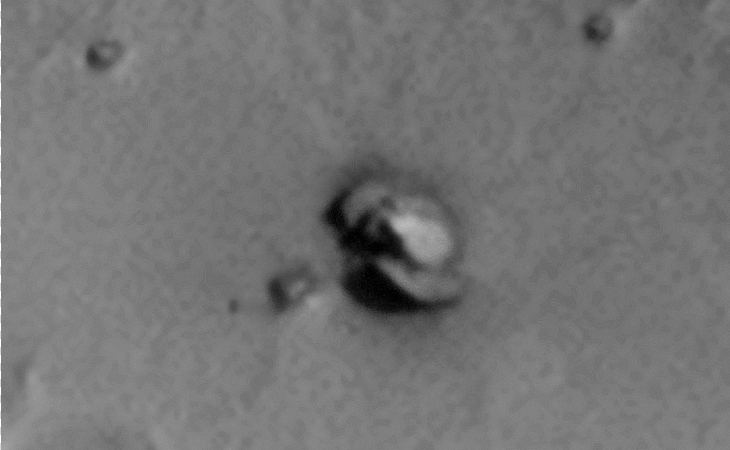 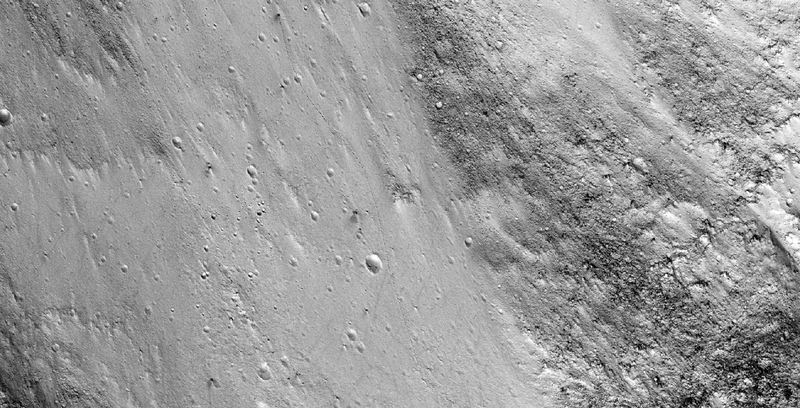 The High Resolution Imaging Science Experiment (HiRISE) is a NASA imaging project and focuses on data returned from Mars Global Surveyor, Mars Odyssey, and regional surveys conducted by the Mars Reconnaissance Orbiter. 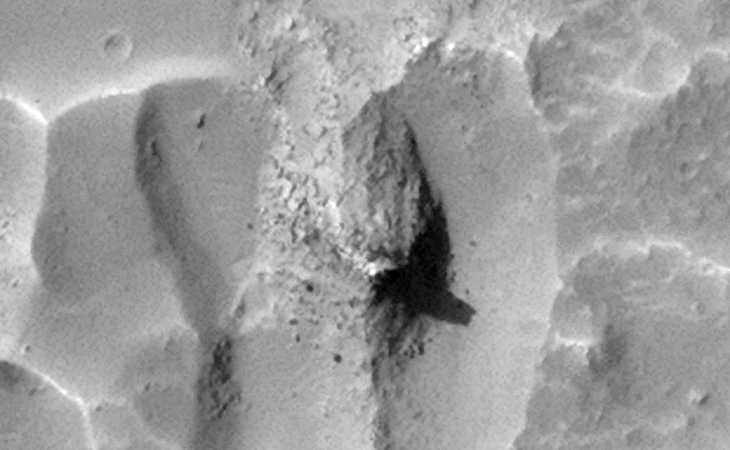 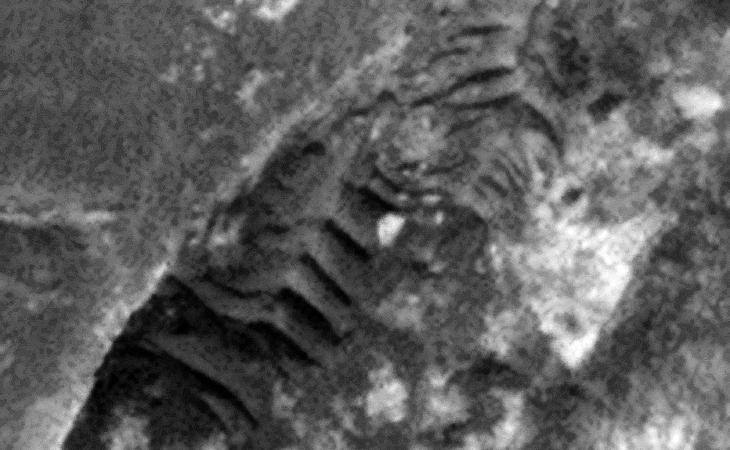 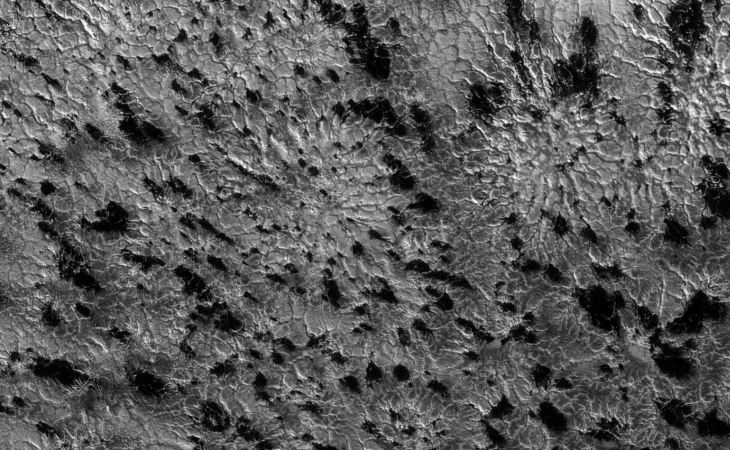 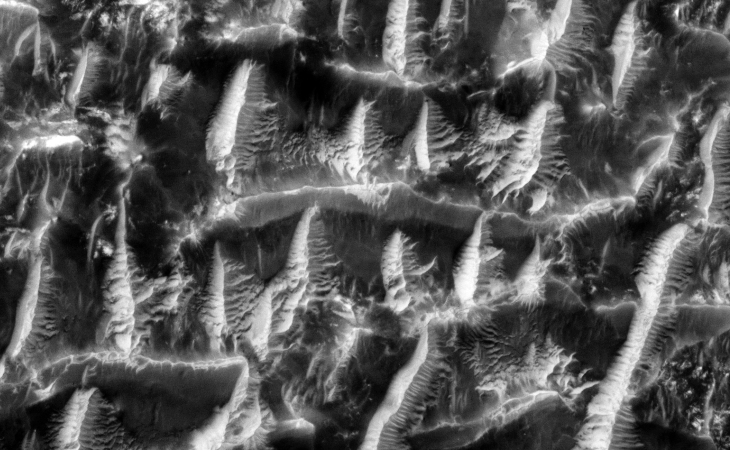 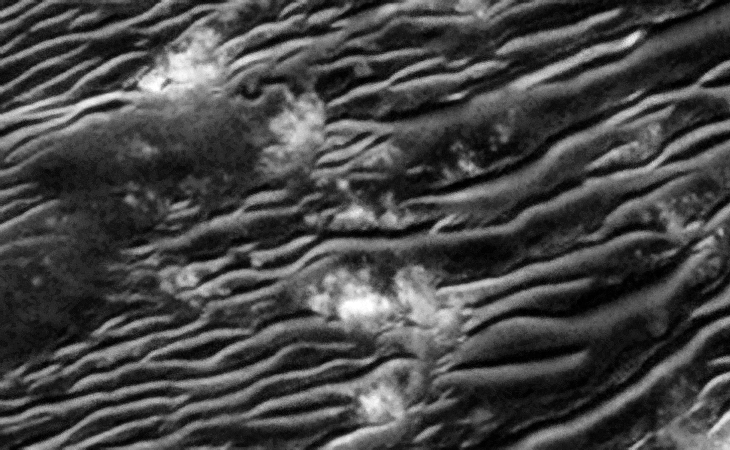 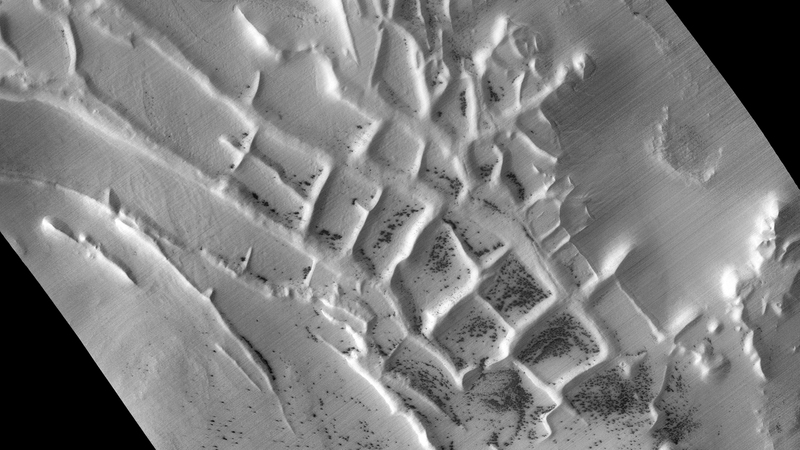 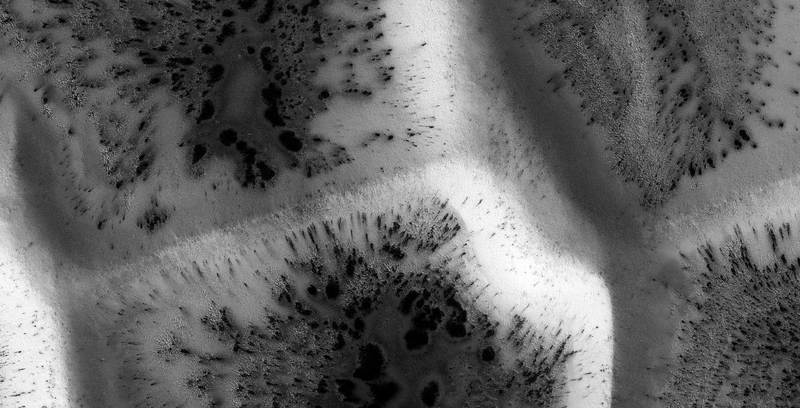 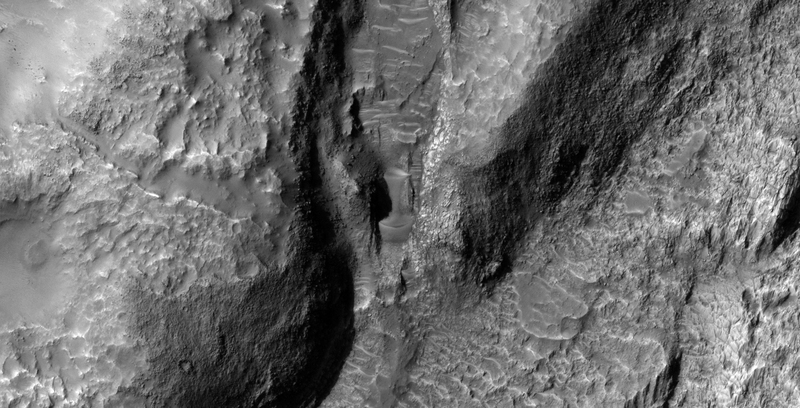 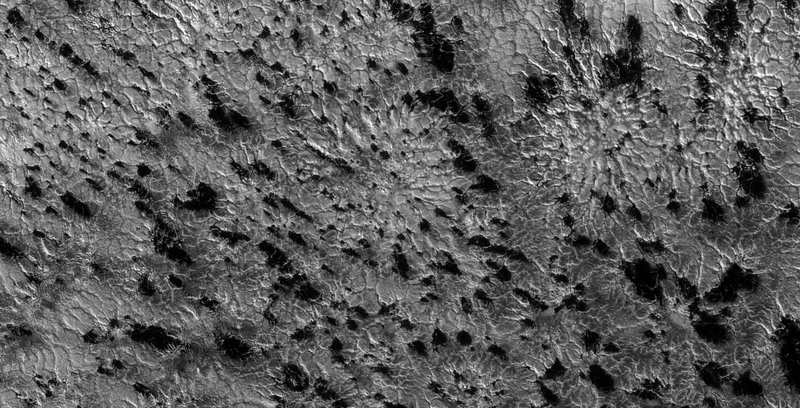 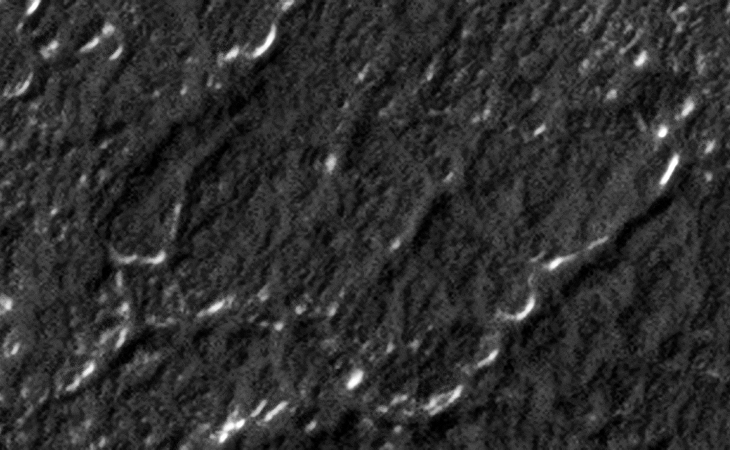 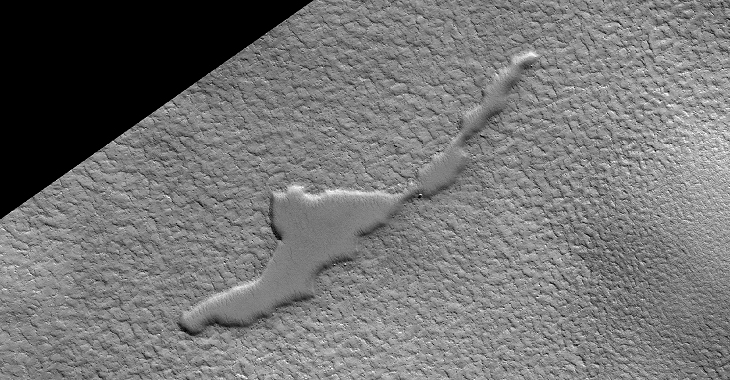 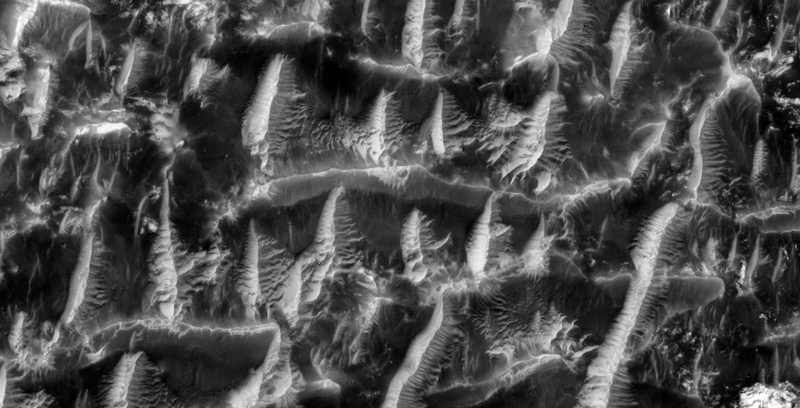 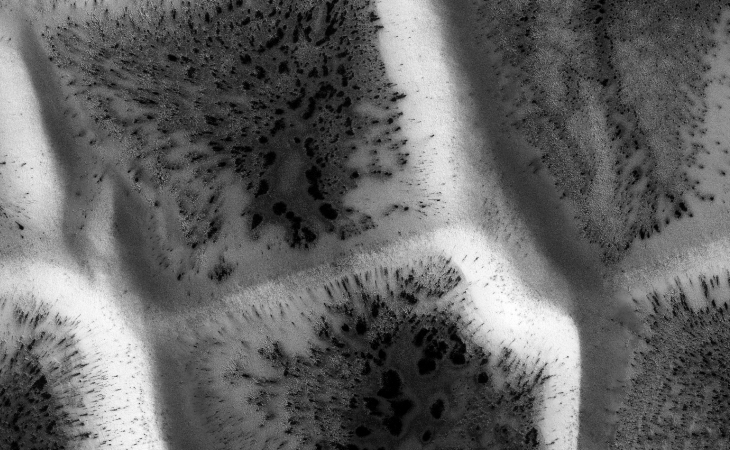 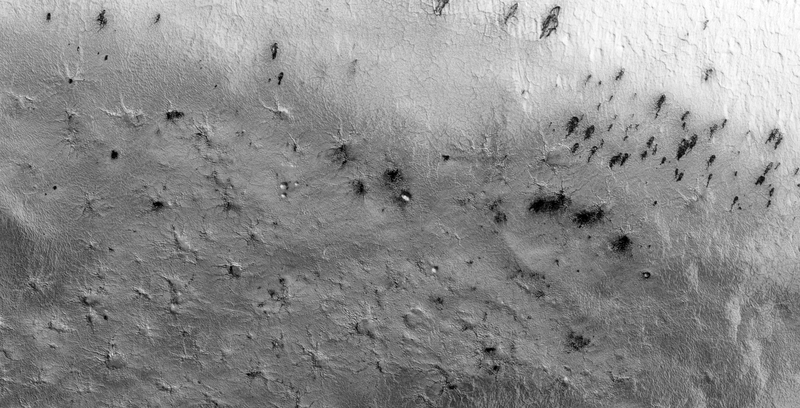 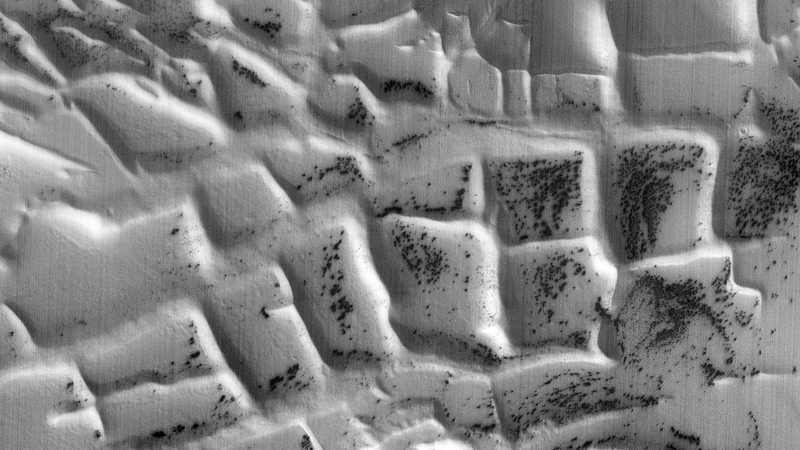 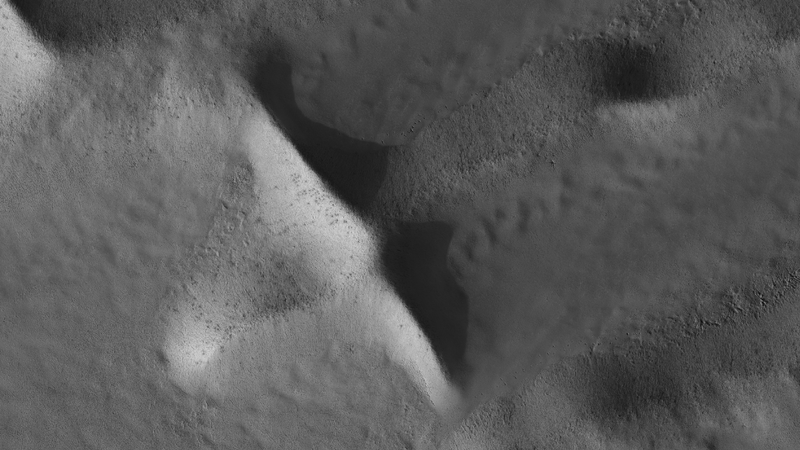 The controversial HiRISE image below seems to indicate the presence of trees growing in rows and formations of crystal like shards on the Martian surface. 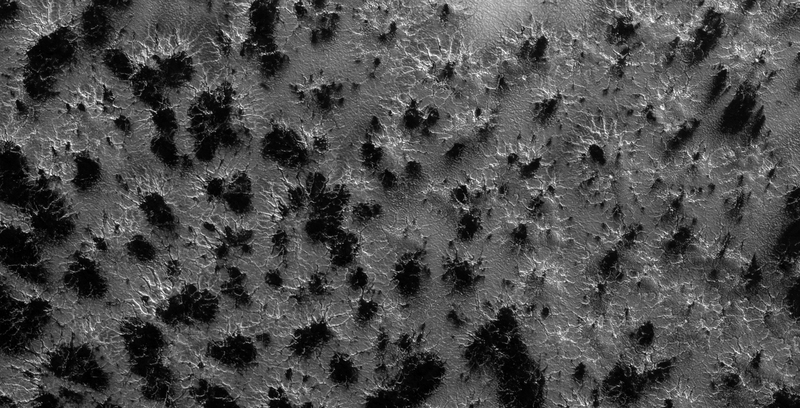 I’ve highlighted some of these trees and crystal like structures. 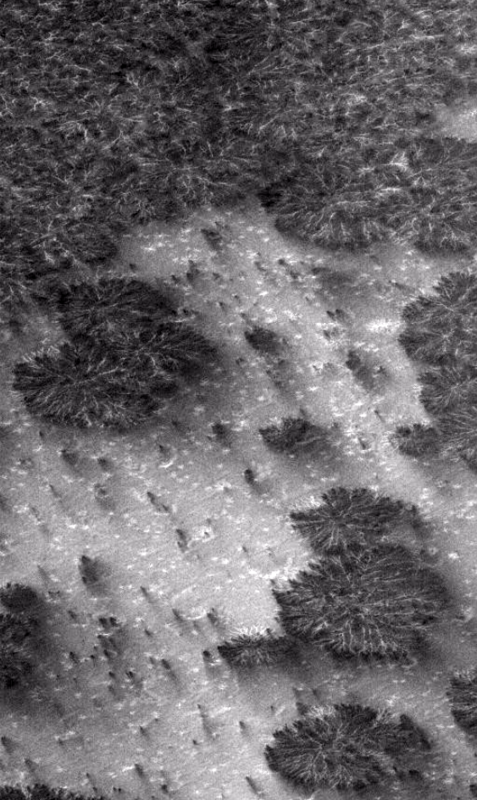 The layer of white carbon dioxide ice passes behind these objects. 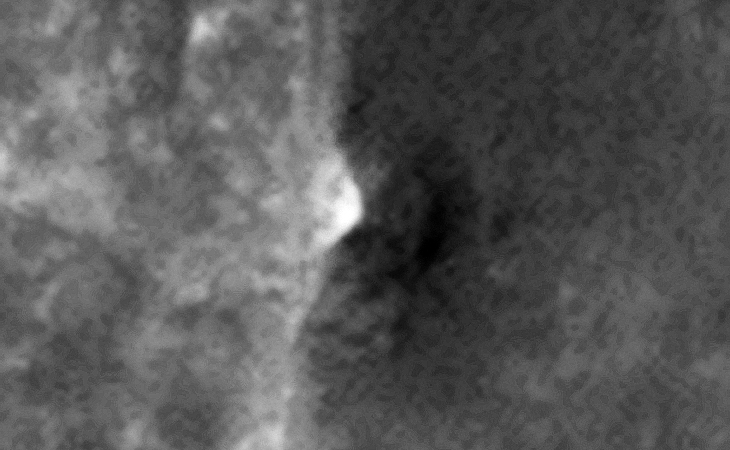 There is also a red dust cloud behind the group of the trees. 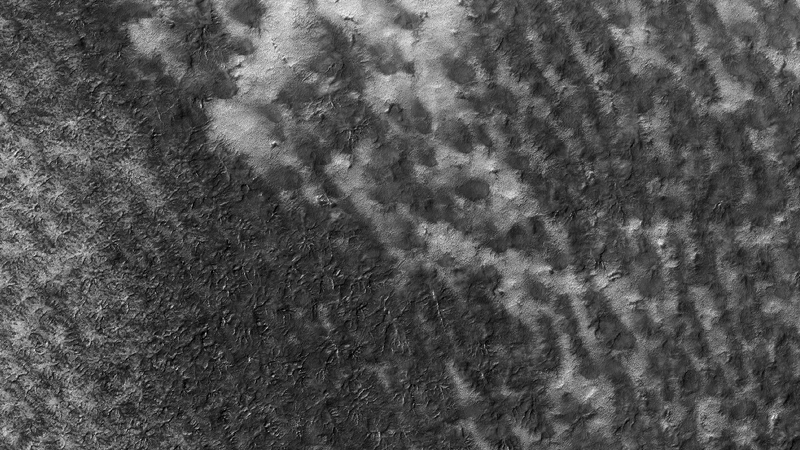 Check out the surface from where the trees are growing. 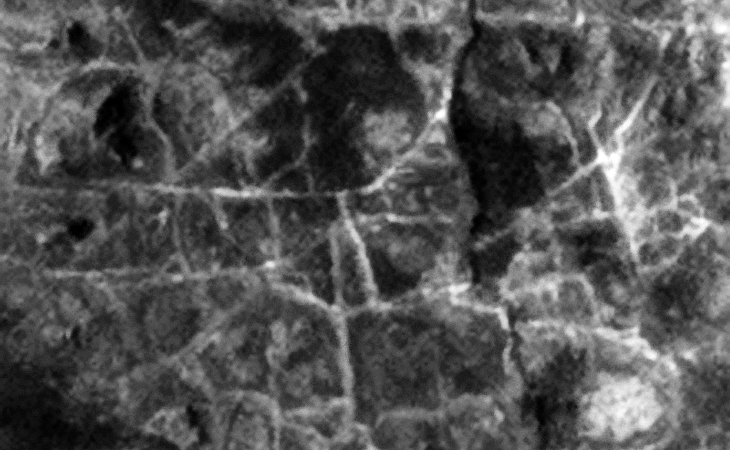 The evidence shows that the trees are rooted (thick root systems are clearly visible). 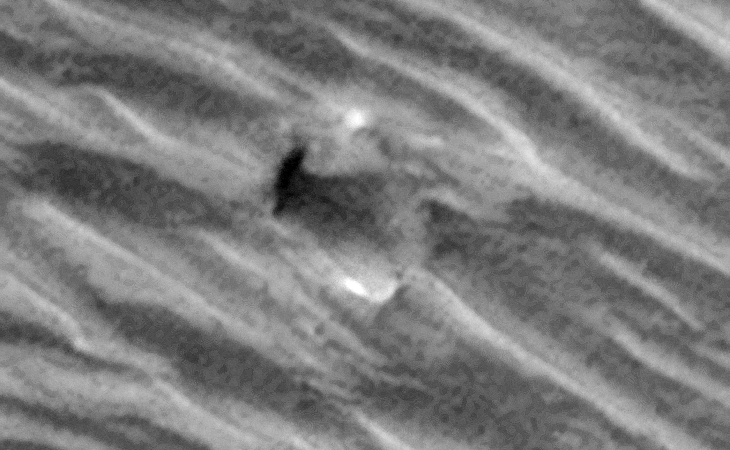 One group of trees at the middle, top of the image are upside-down and there is a red dust cloud visible behind them, this too me indicates some image manipulation, i.e. 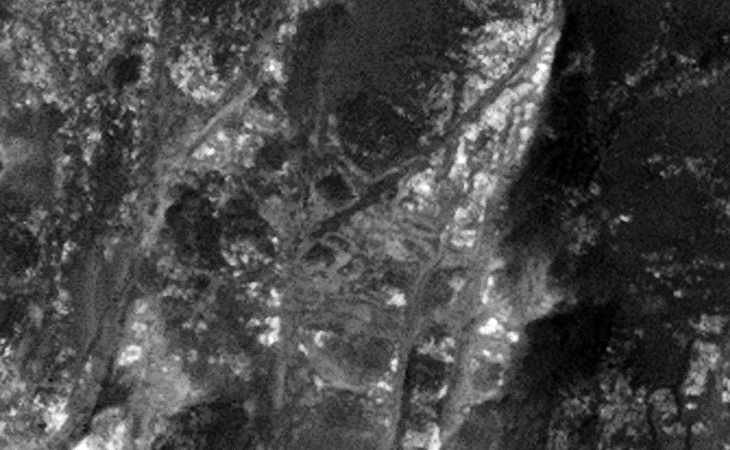 all the remaining trees are pointing up towards the sky. 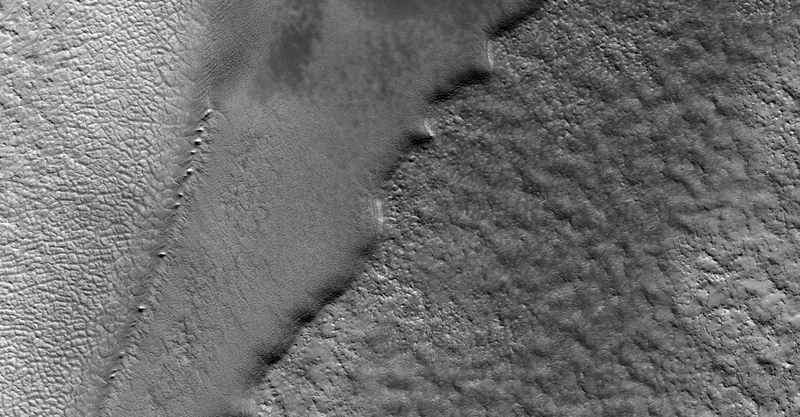 Several “dark streaks” start at the crest of some dunes, whereas other “dark streaks” are seen in absolutely flat areas between dunes, i.e. 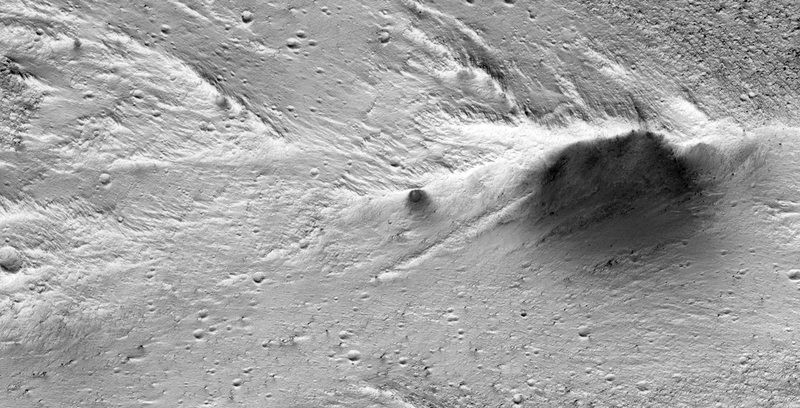 they can’t flow there. 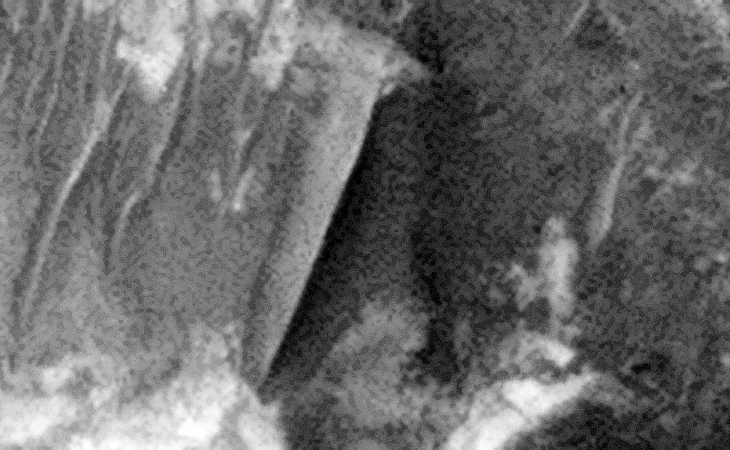 In my opinion the trees and formation of crystal shards are pointing up towards the sky and are not flat on the surface; whether or not these are trees remains to be seen. 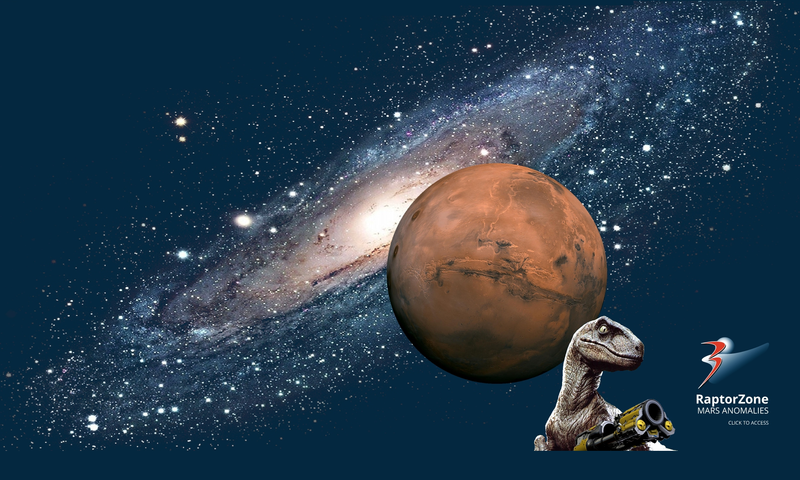 NASA’s logic and explanation makes no sense. 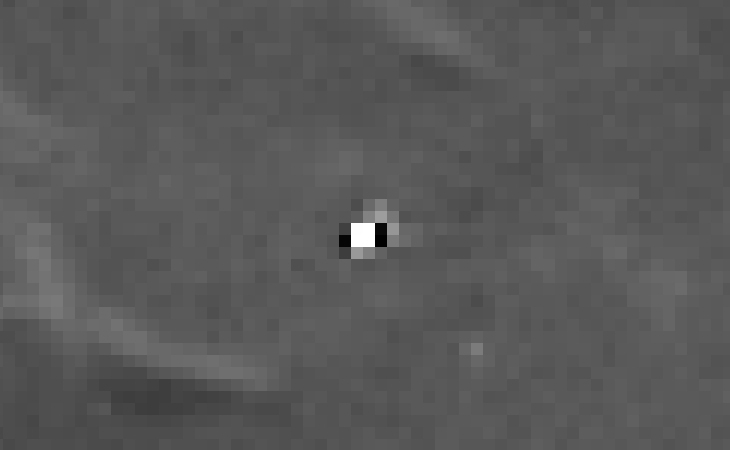 Unarguably this is a very intriguing image and will cause debate for years to come. 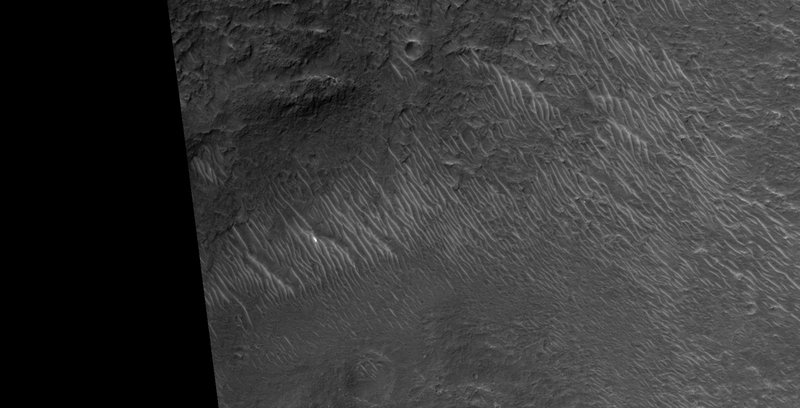 This photograph (ESP_012075_1015) was taken by NASA’s Mars Reconnaissance Orbiter (MRO) HiRISE Camera on 22 February 2009. 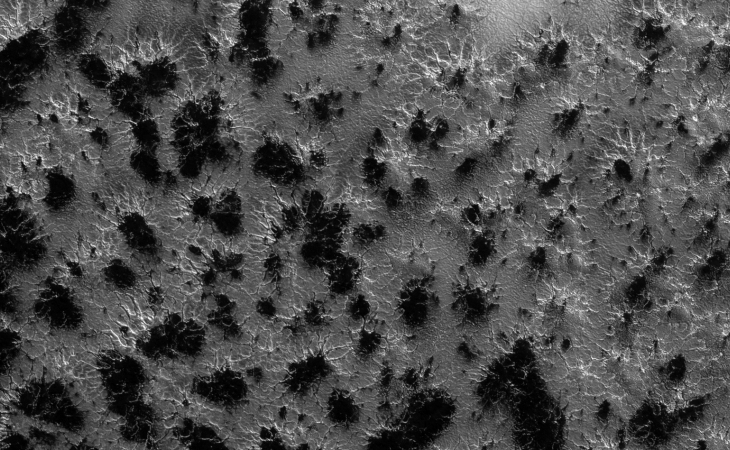 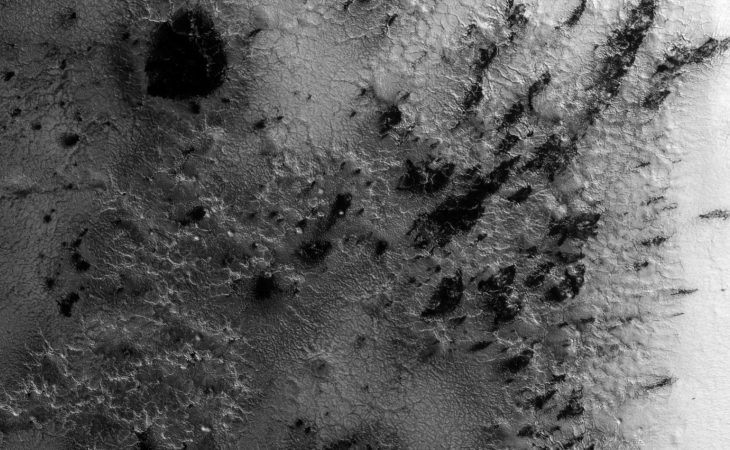 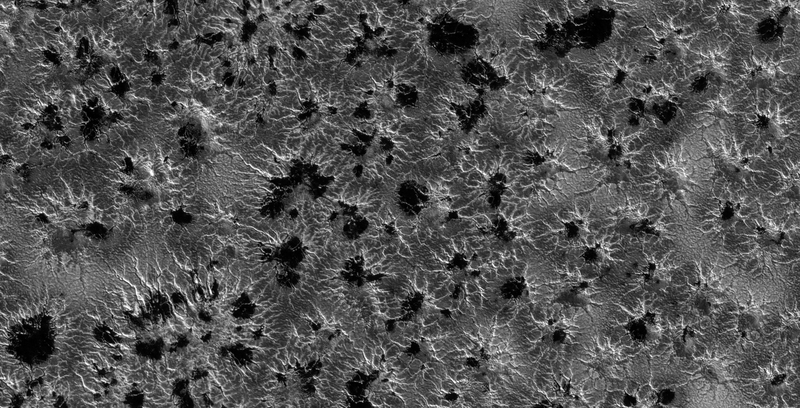 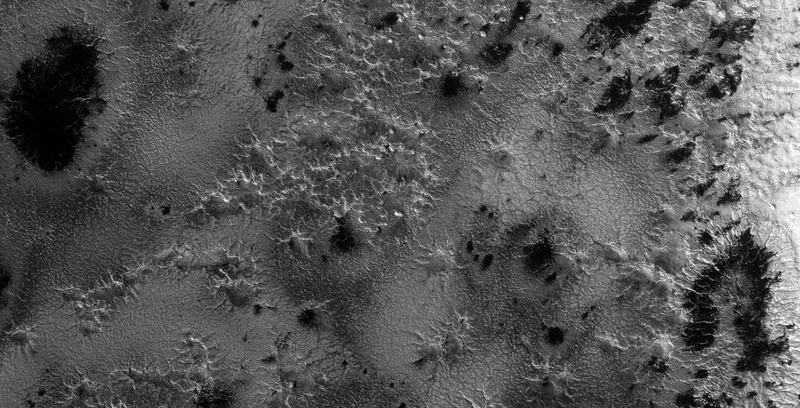 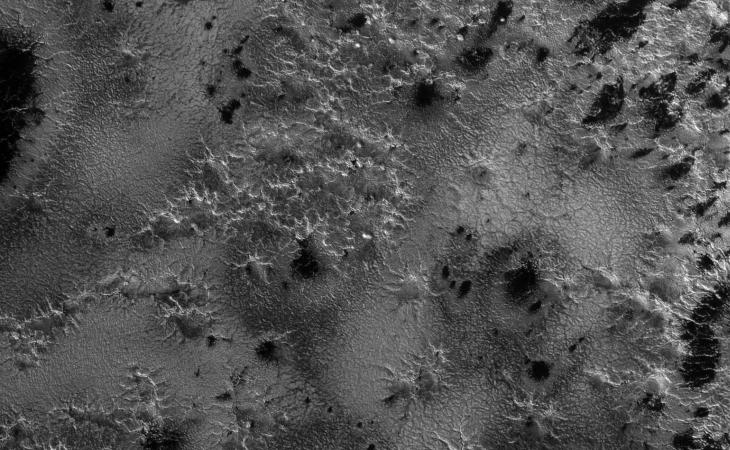 In this presentation I present a theory that these dark areas or spots on the surface of Mars might be a form of plant-life covering so-called “Spiders” on the Martian surface. 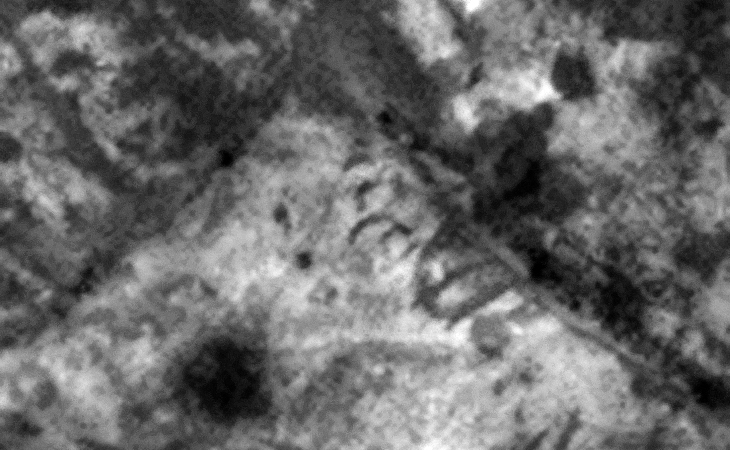 I speculate that the “plant life” shown might be a type of moss as or a type of very fine leaf plant, perhaps something like a fern. 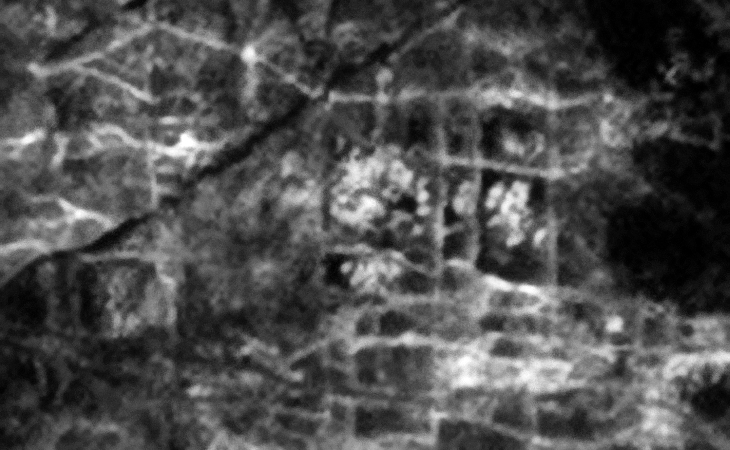 Some have speculated that similar MOC photographs taken in the past show what might be trees as seen from above.